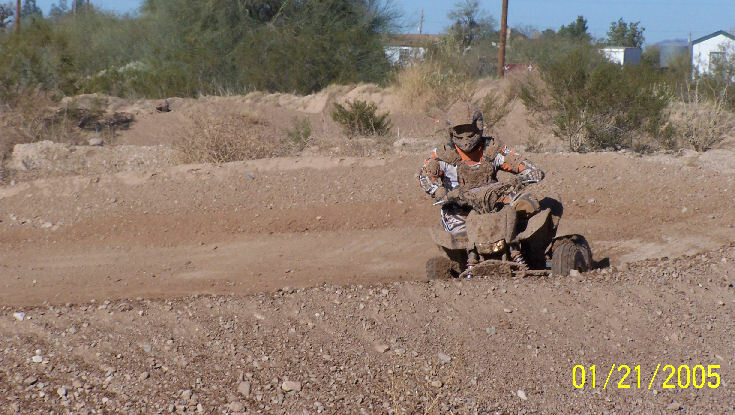 Round 1 was a lot of fun. 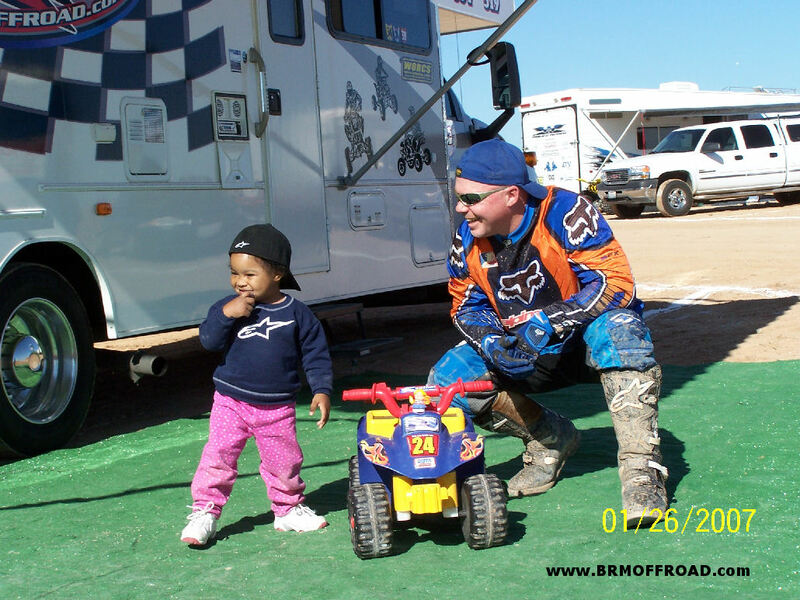 We both fared pretty well in our classes, but also have room for improvement. 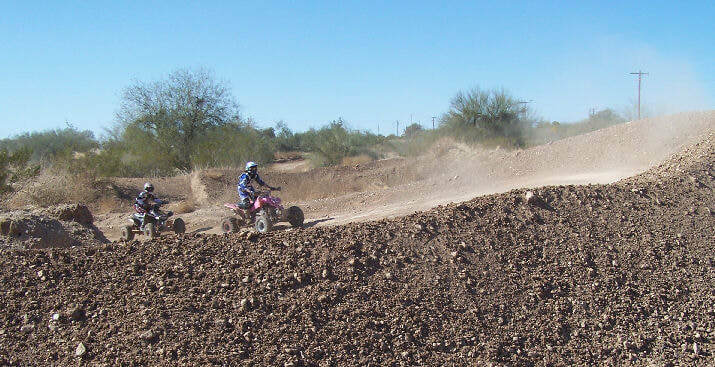 A few mental mistakes left Missy stuck in the desert trying to heave her quad out of a deep rut, but once she was rolling again she was able to re-focus and make a pass on the last jump to better her finishing position. 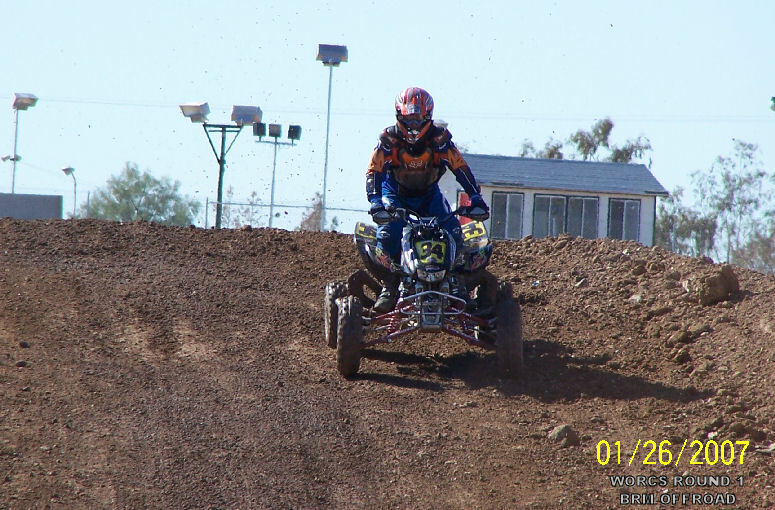 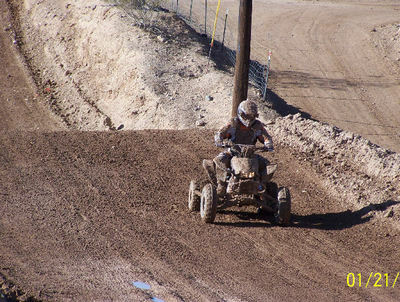 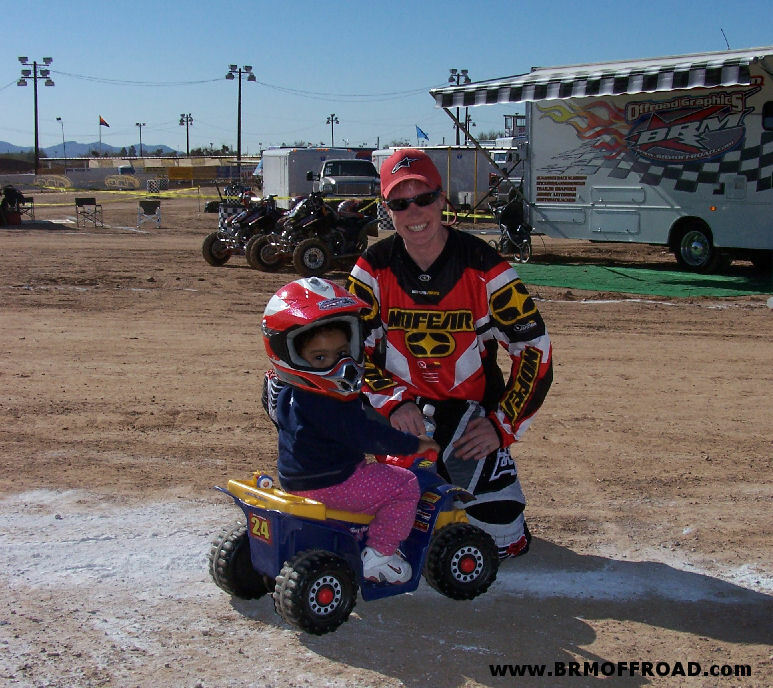 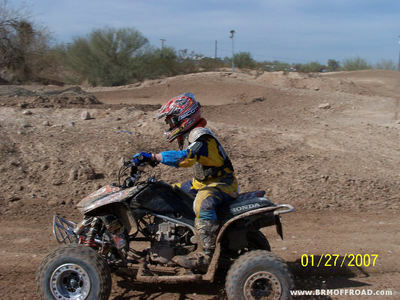 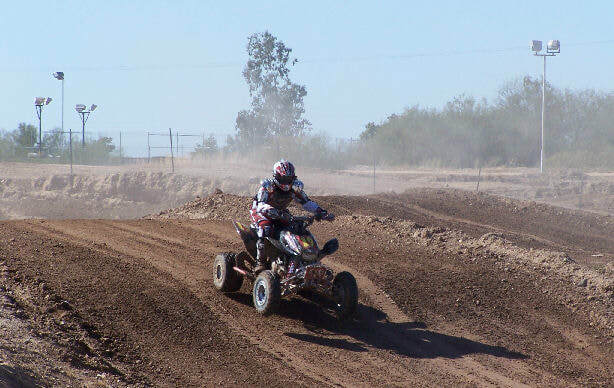 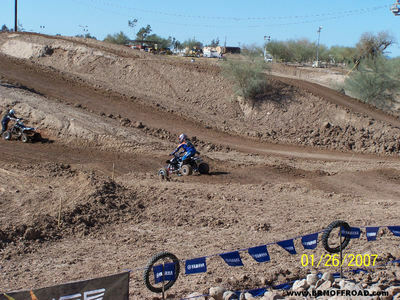 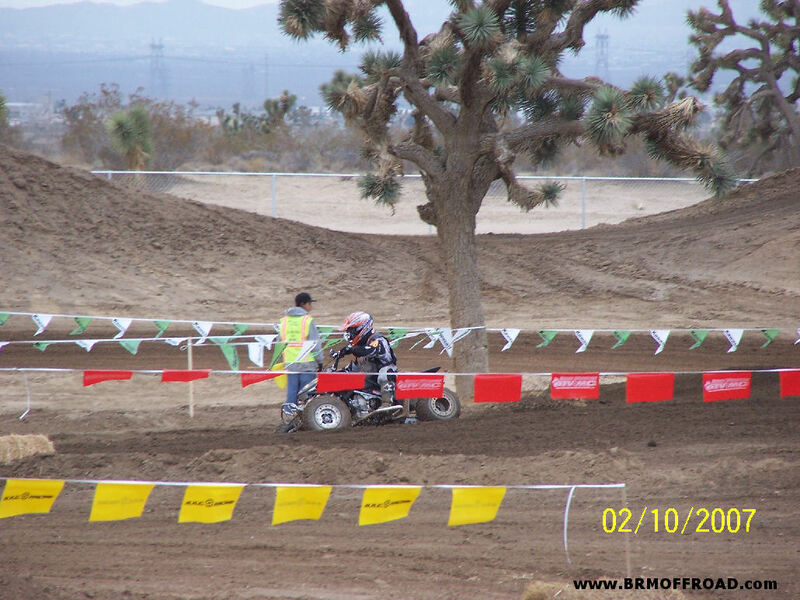 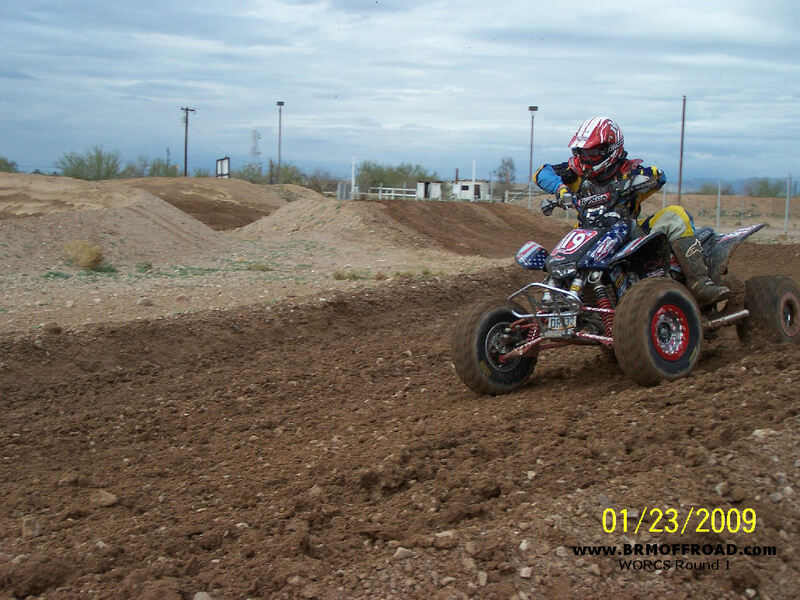 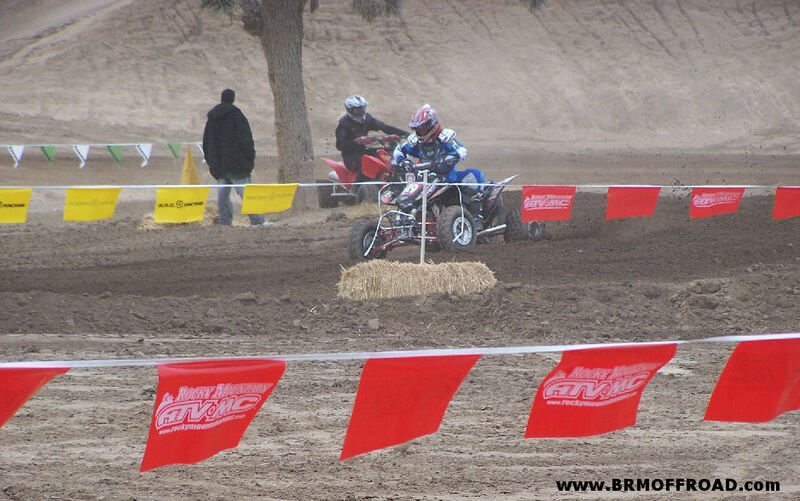 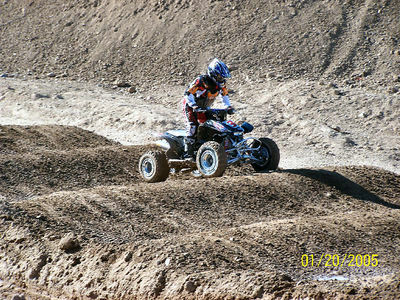 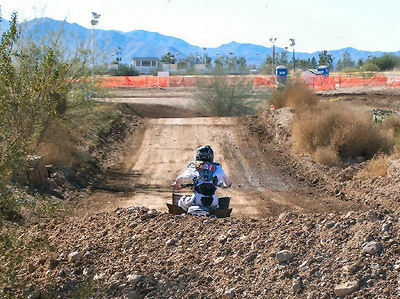 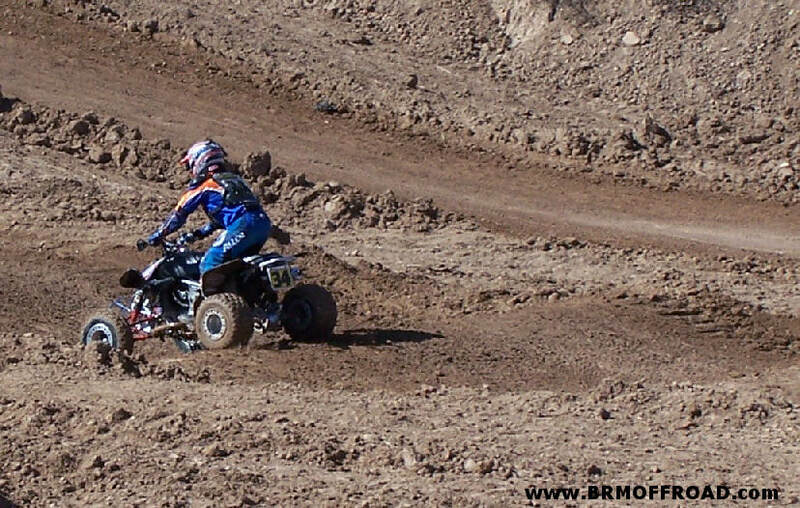 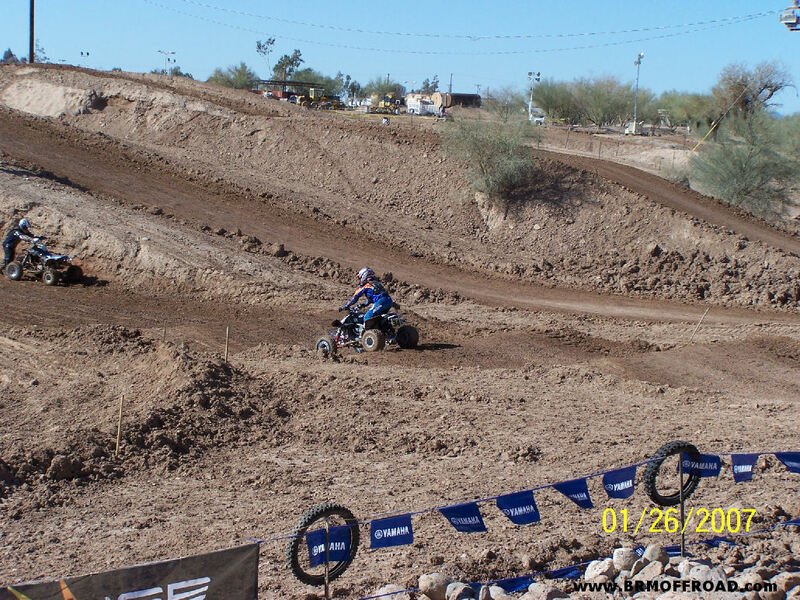 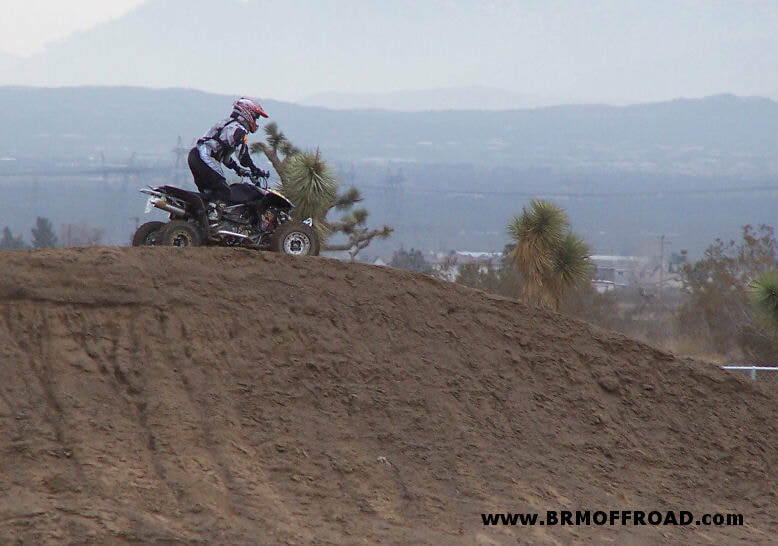 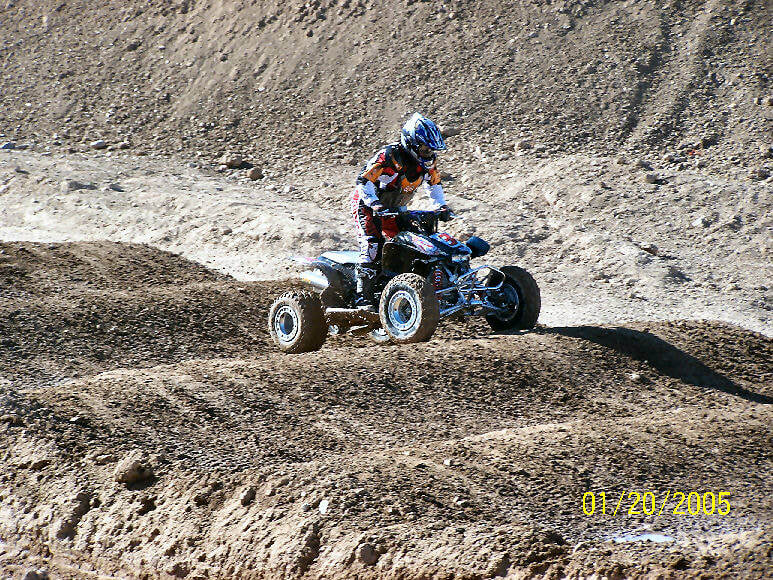 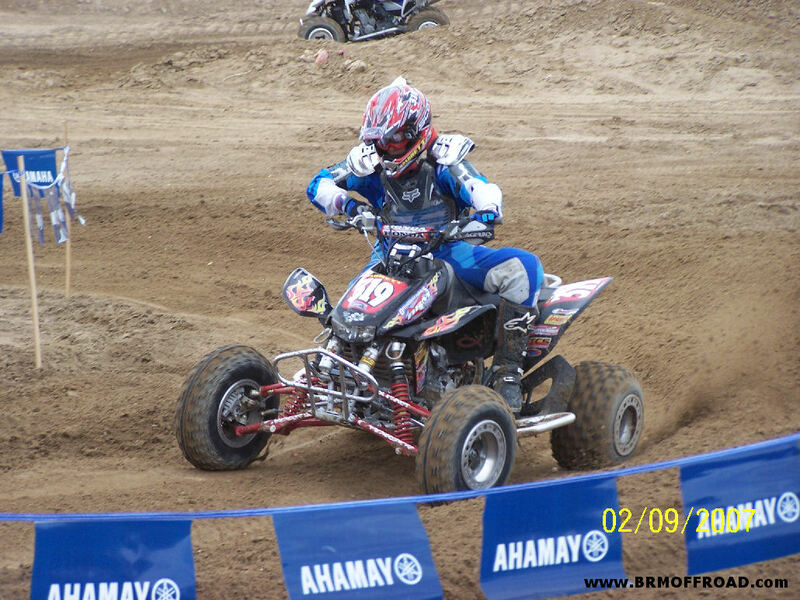 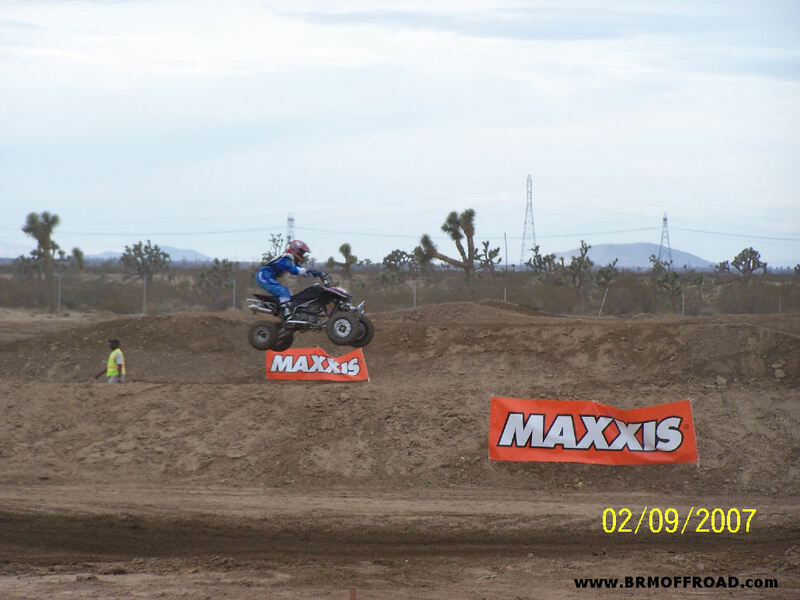 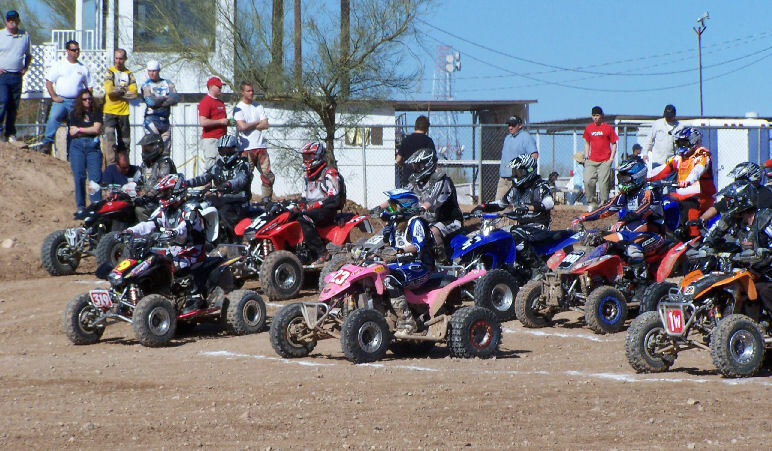 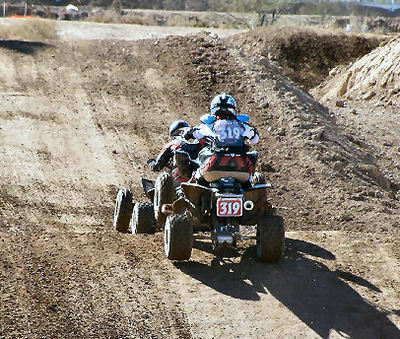 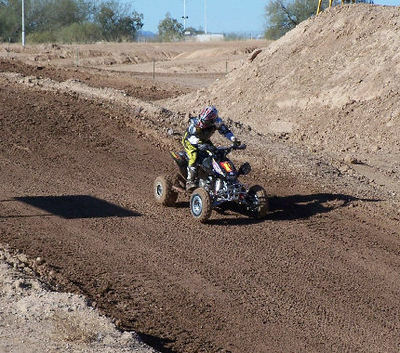 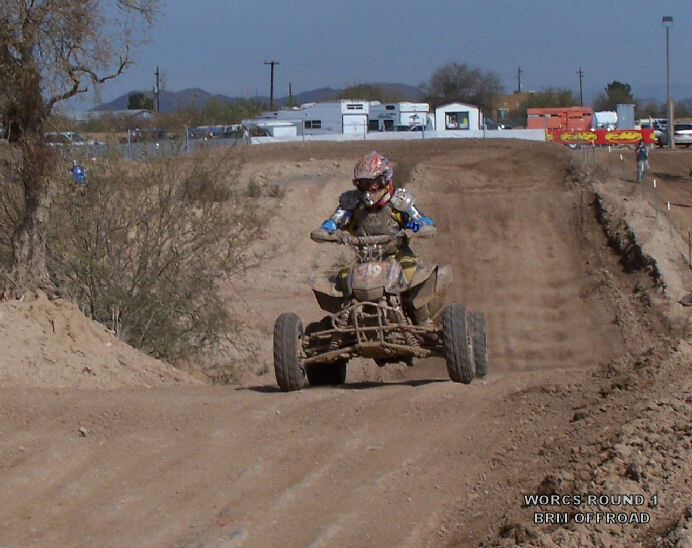 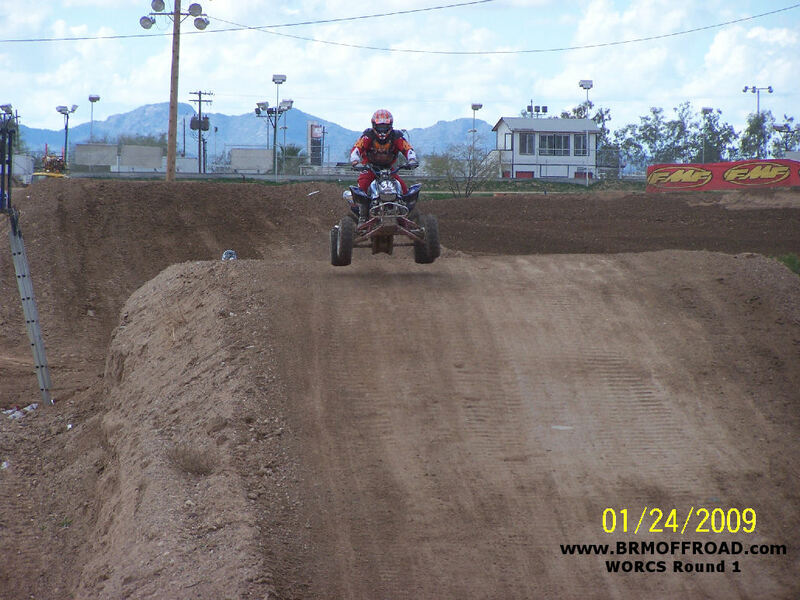 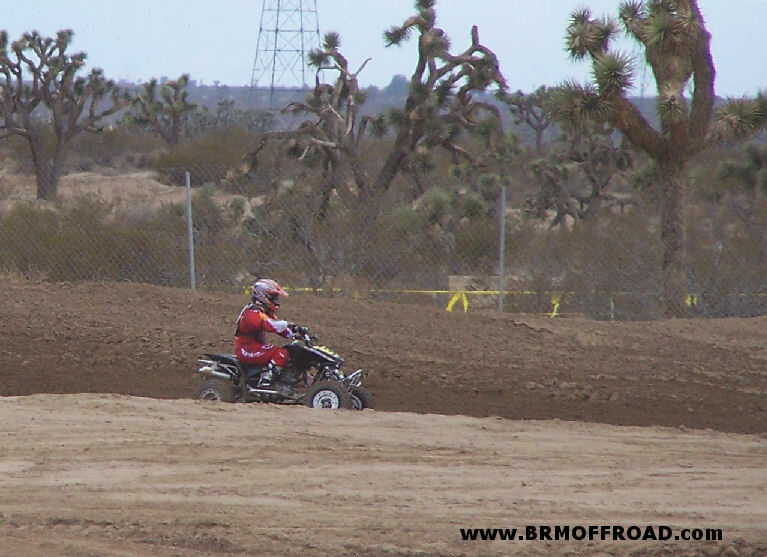 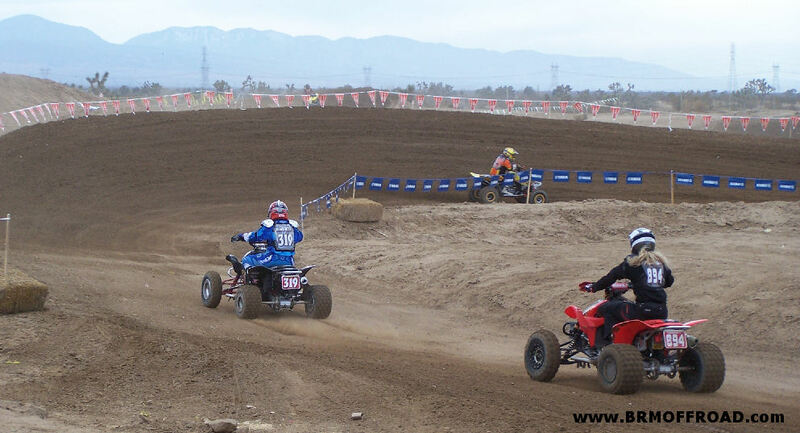 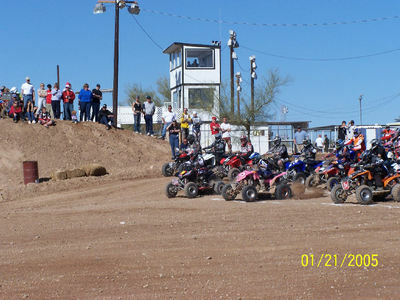 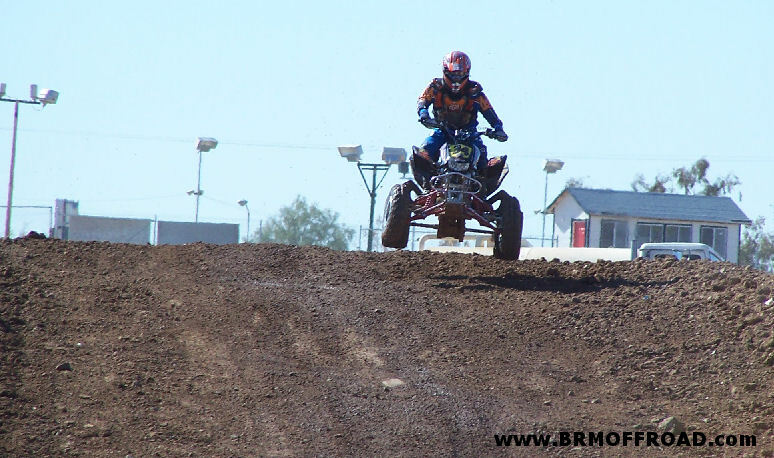 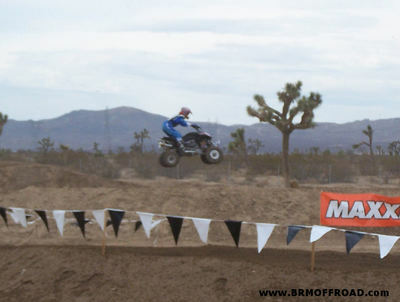 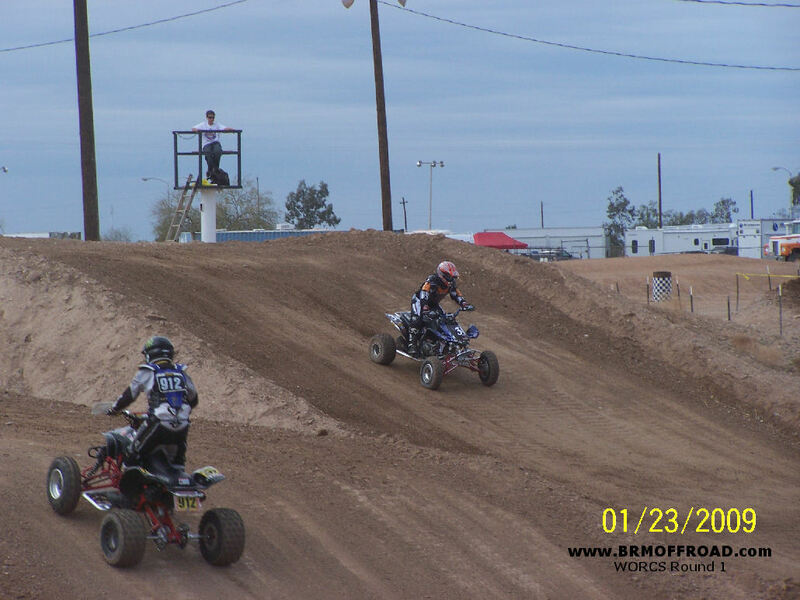 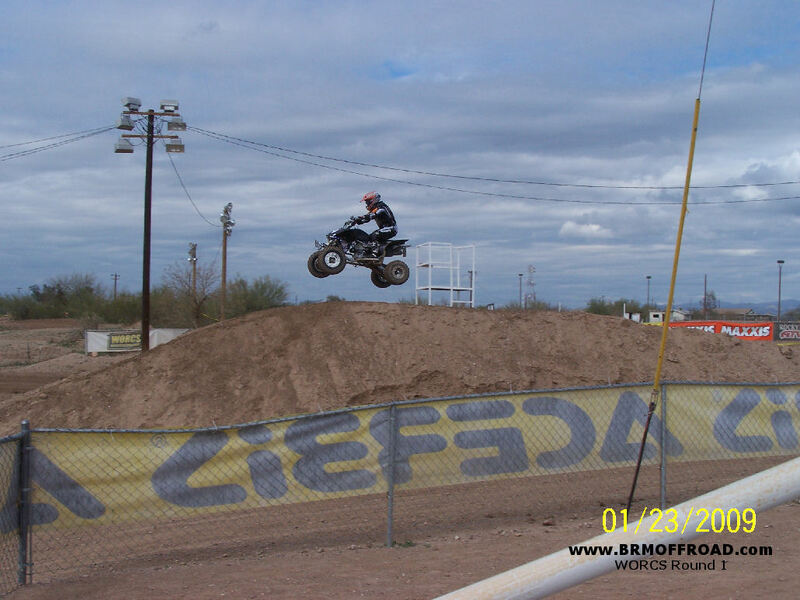 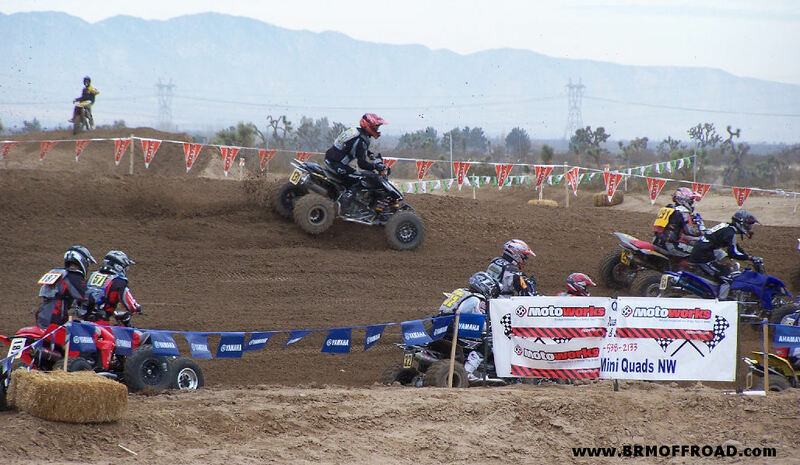 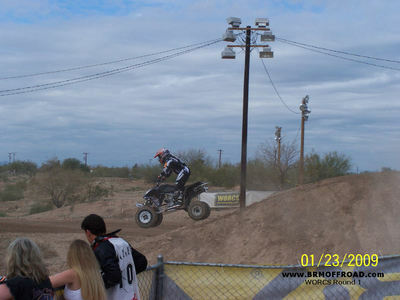 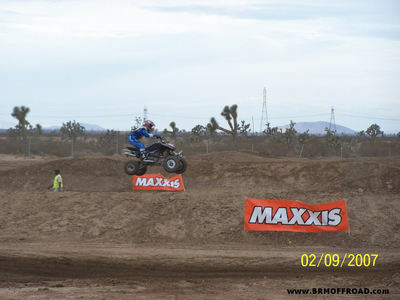 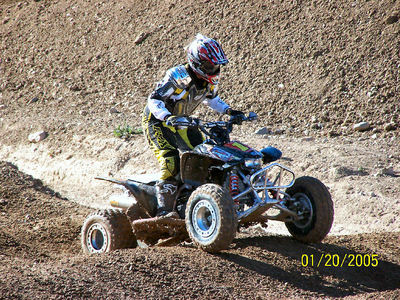 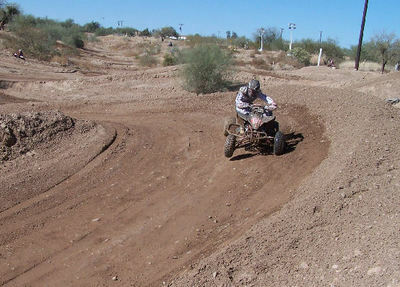 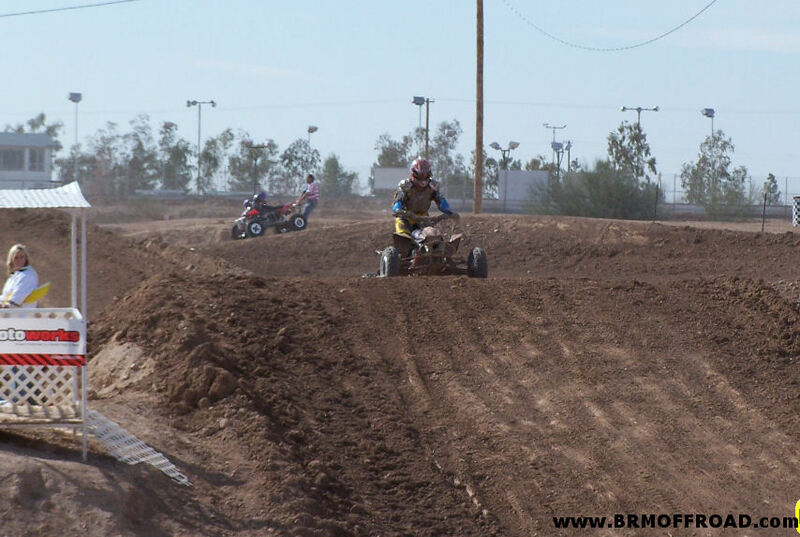 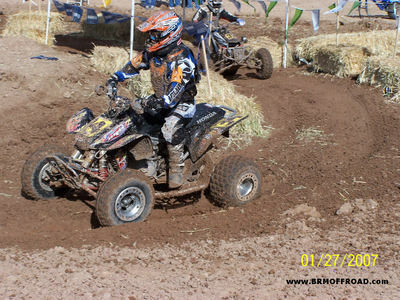 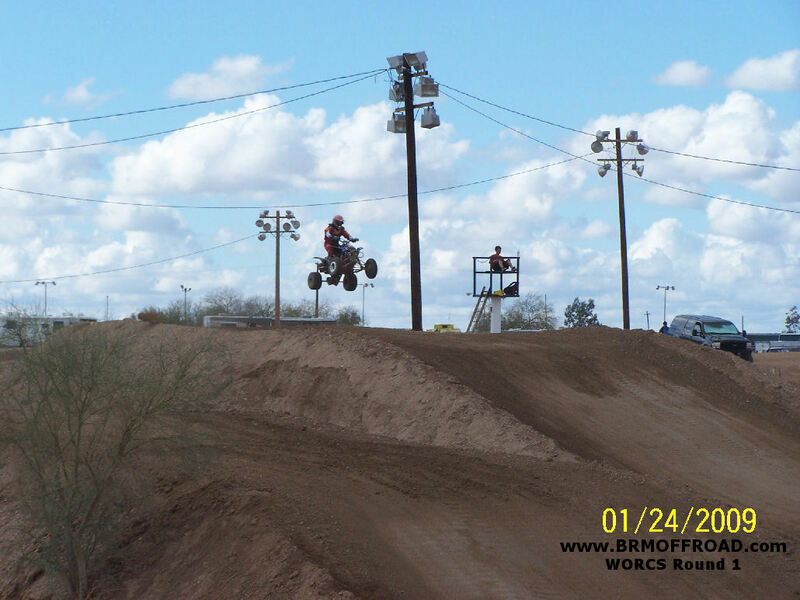 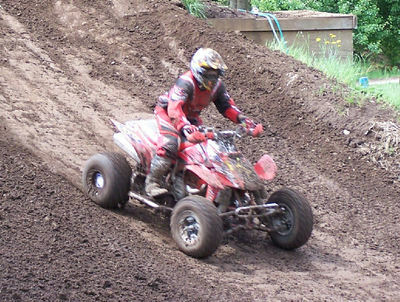 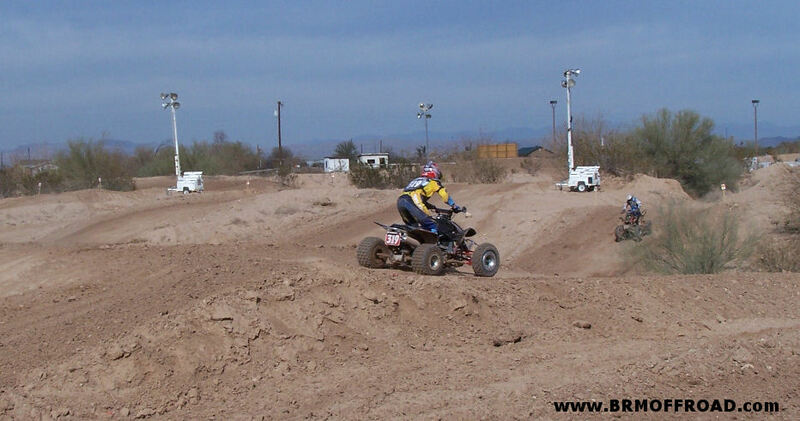 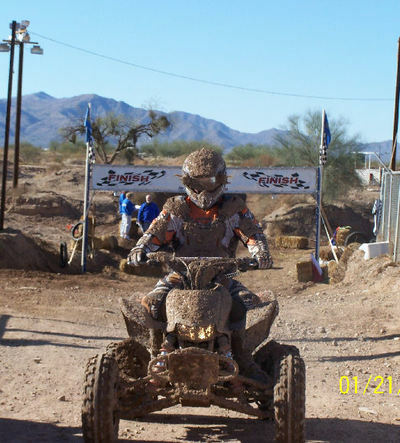 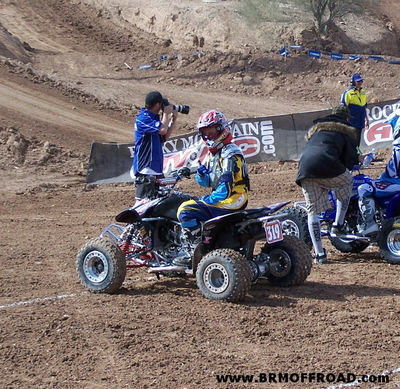 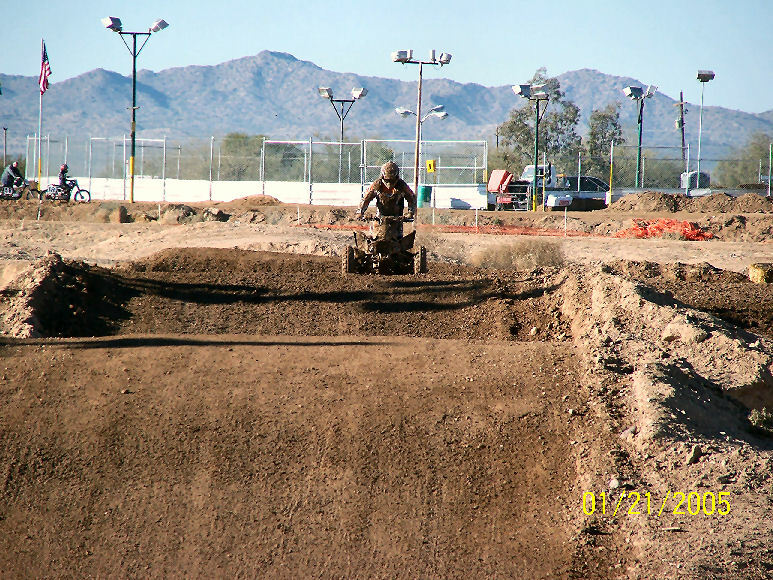 Jeff got stuck behind a pile up in the desert on his slow lap, but had a lot of fun racing his quad again and is looking forward to round 2 in February. With Round 2 just a few weeks away, both Jeff and Missy have decided to race an additional class. 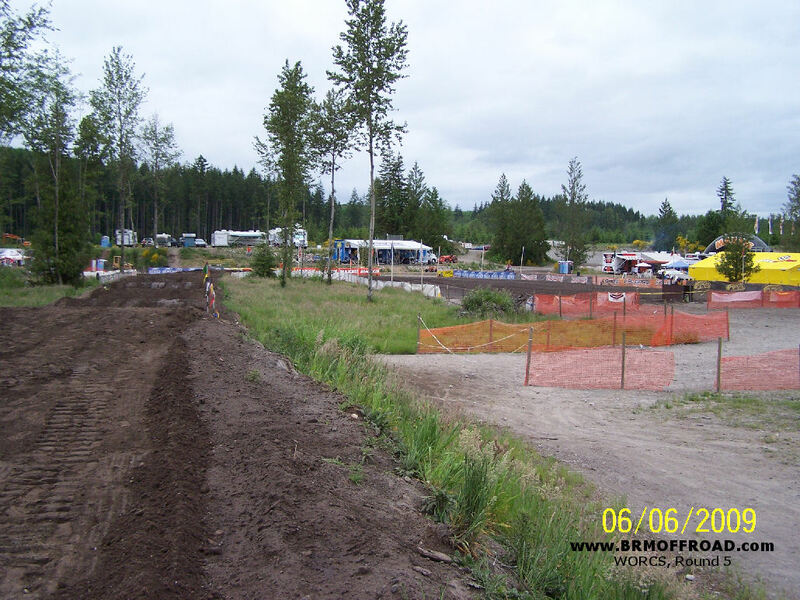 Jeff will be racing 40+ 'C' along with Open 'C', while Missy races Women 'A' and 40+ 'A'. Missy definitely has her work cut out for her, but with our family situation that was the only option to race in 2 classes. 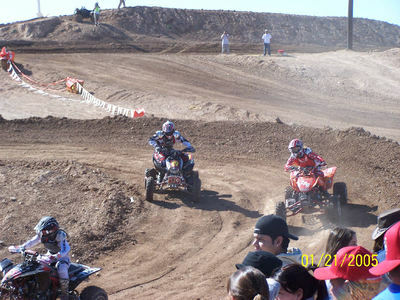 At least there's absolutely no pressure on taking first, just to have fun. 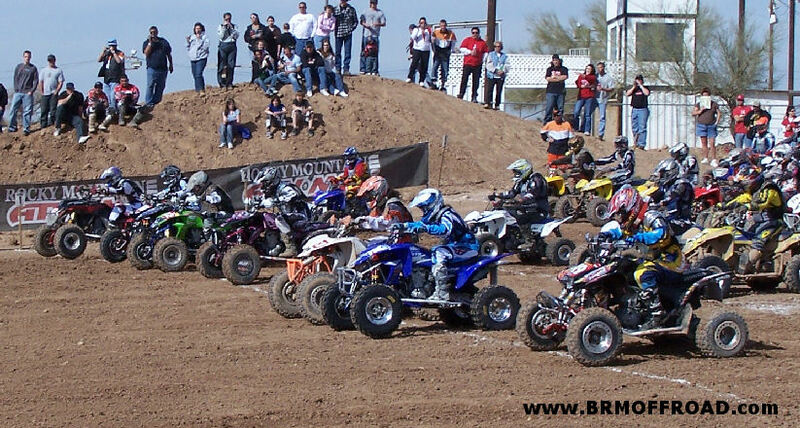 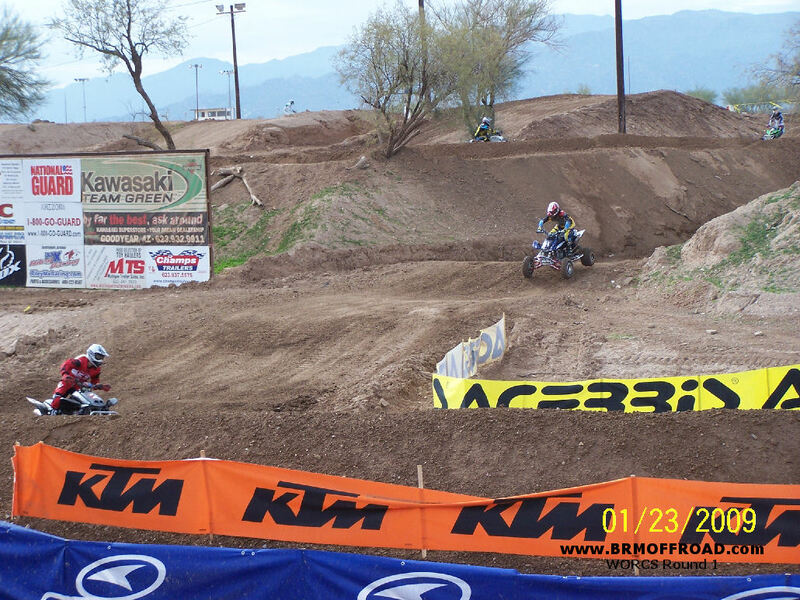 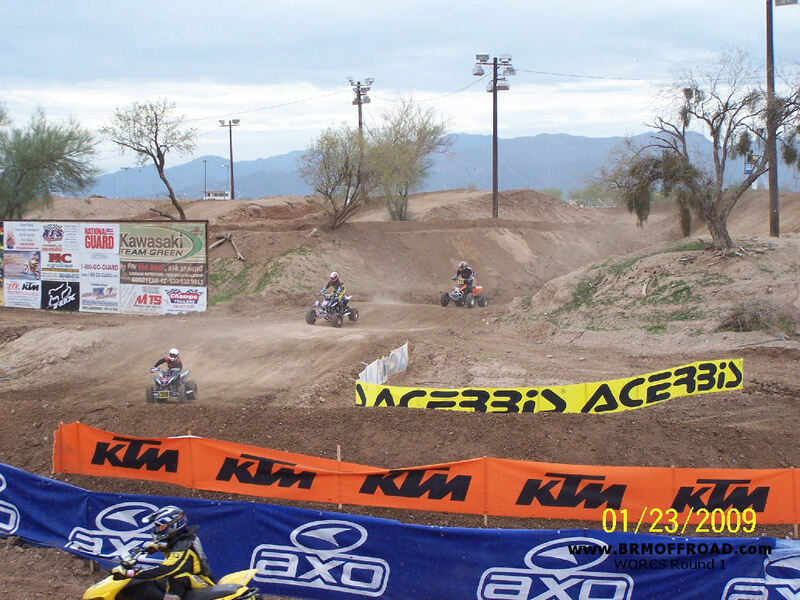 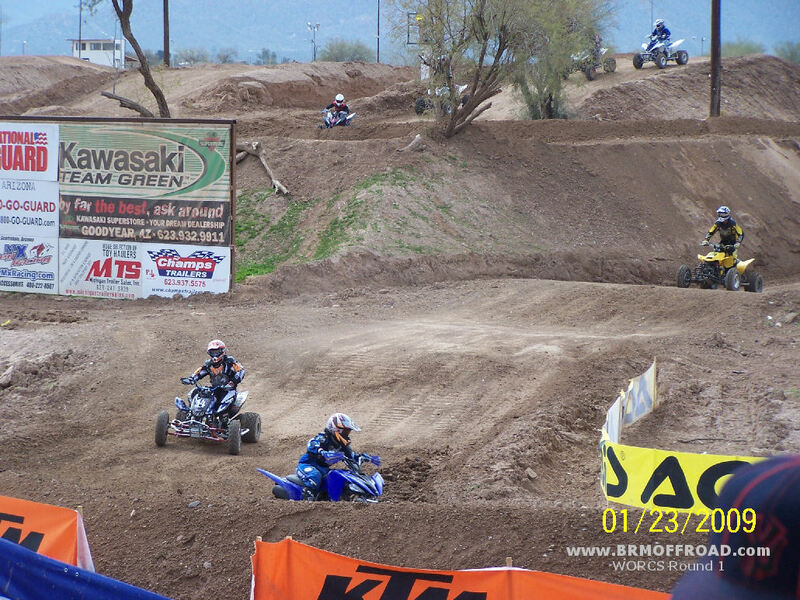 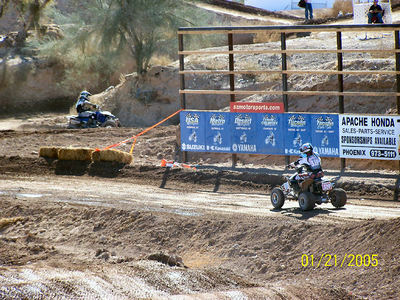 Round 3 was held at Lake Havasu in Western Arizona, along side the Colorado river. Unfortunately ceased axle bearings kept us from even making the trip. 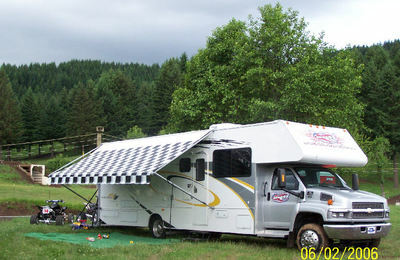 We got the parts in late in the week but with no time for the necessary repairs and travel time. 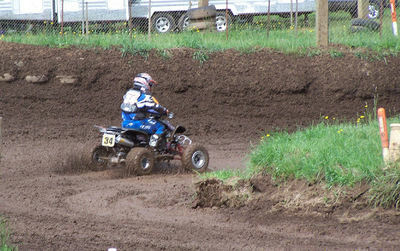 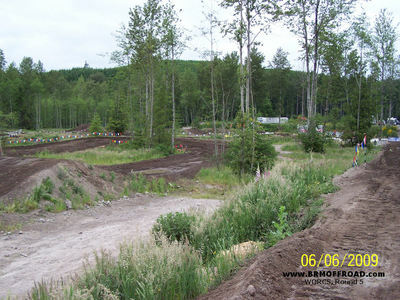 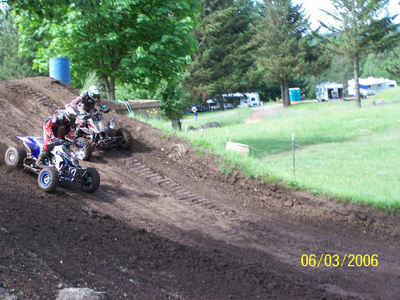 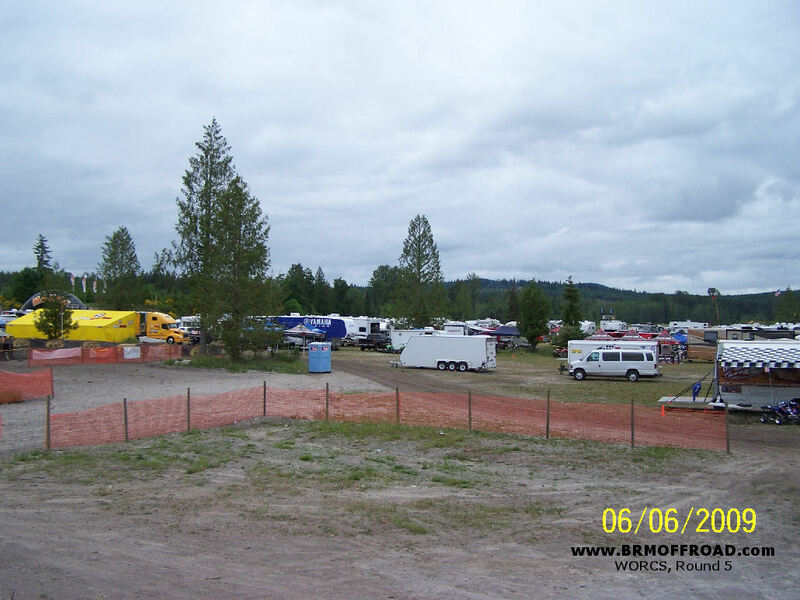 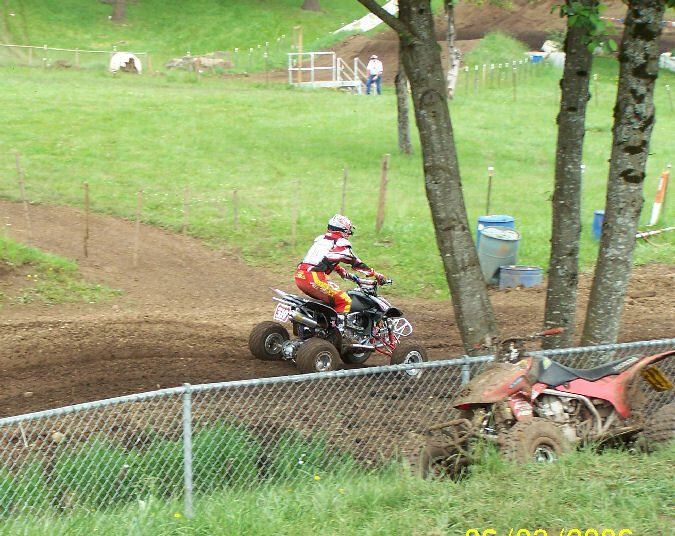 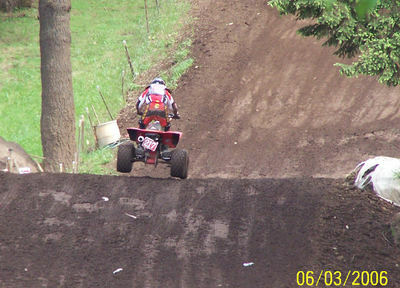 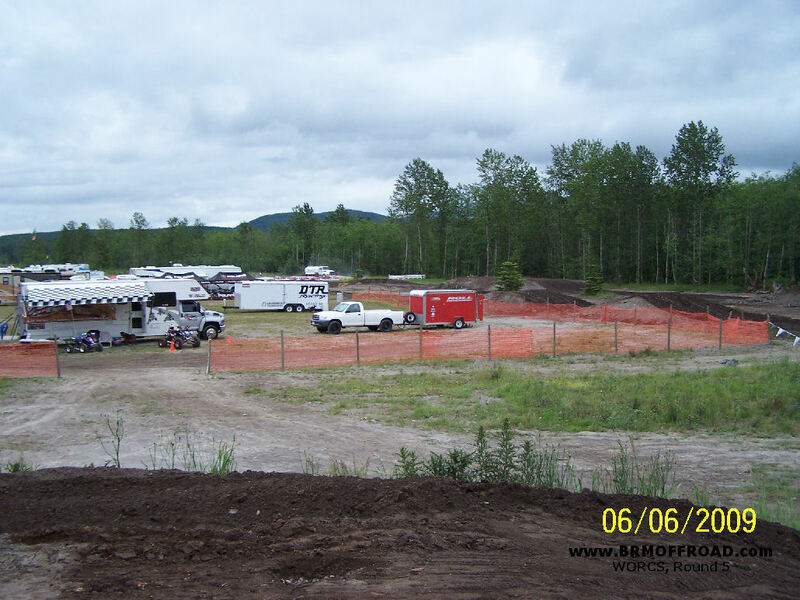 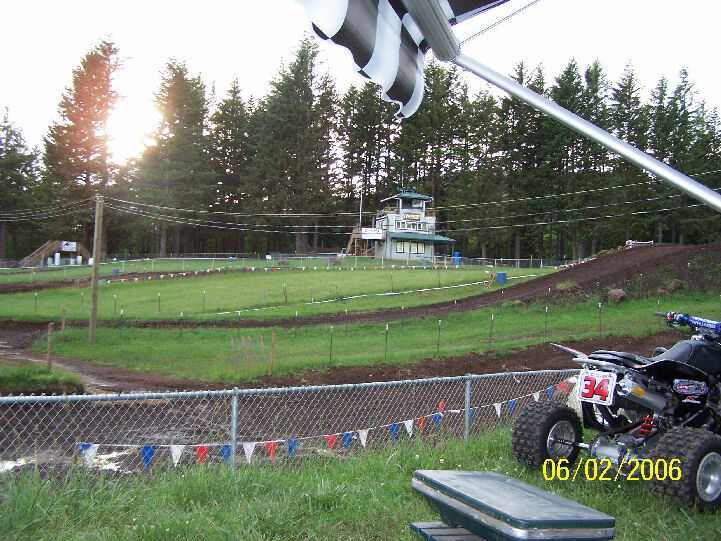 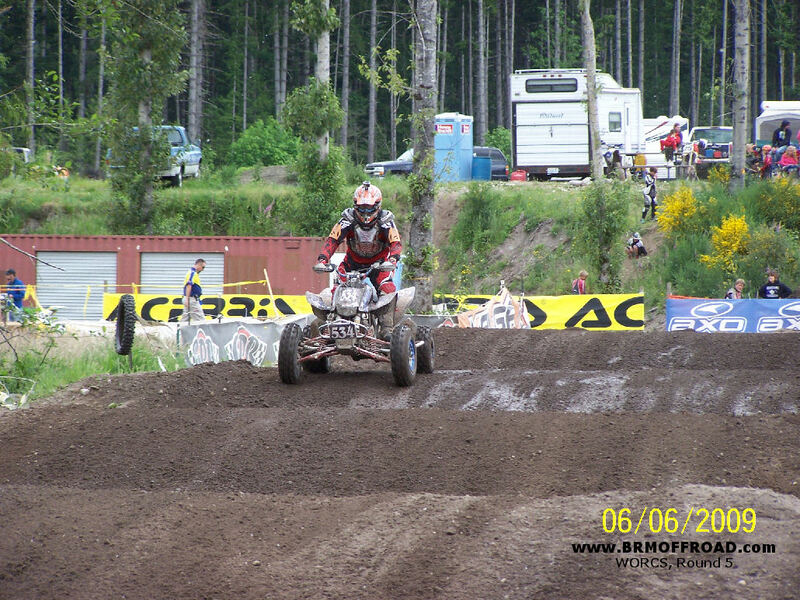 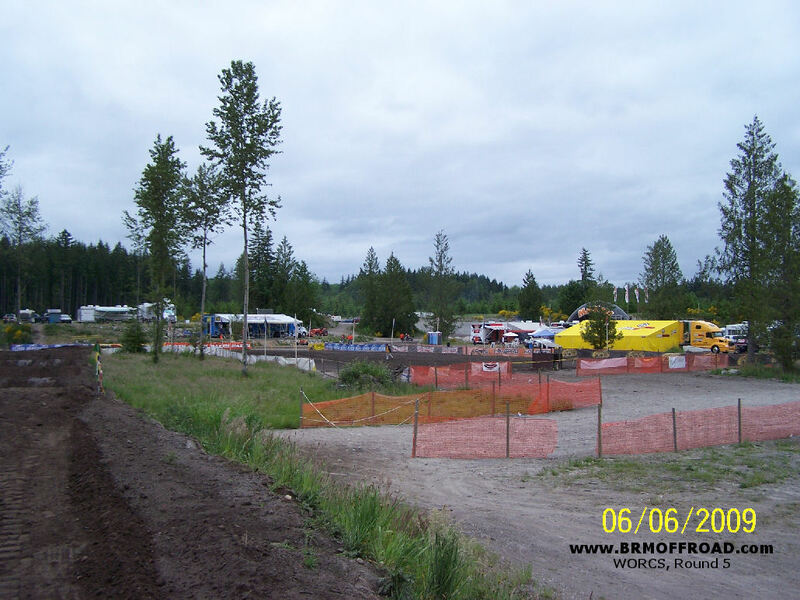 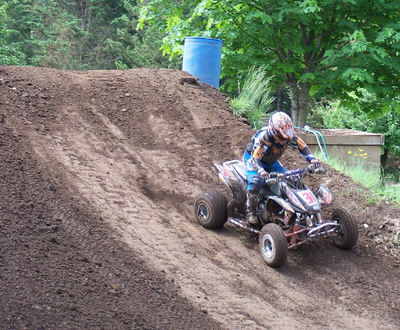 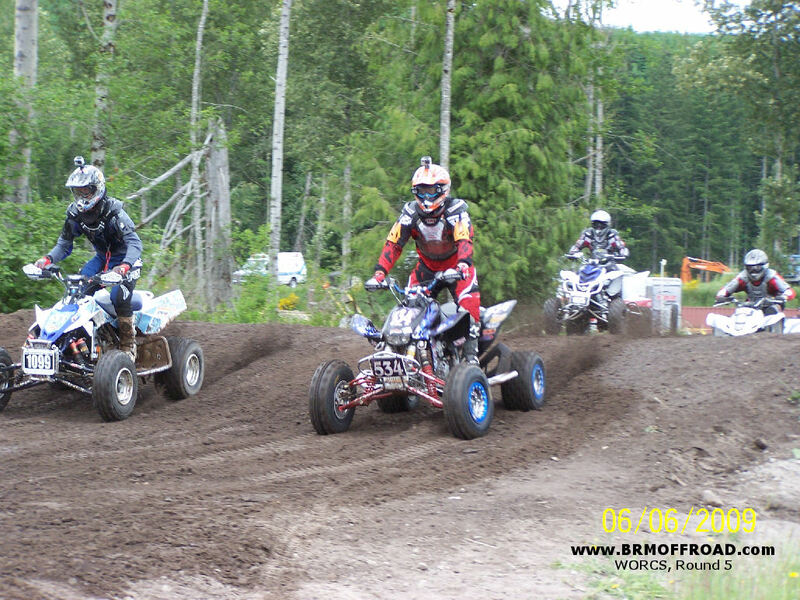 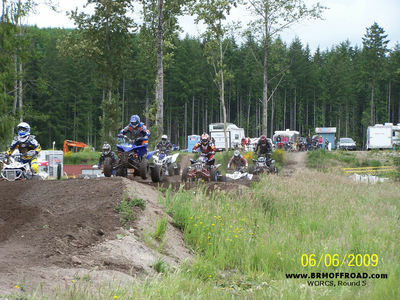 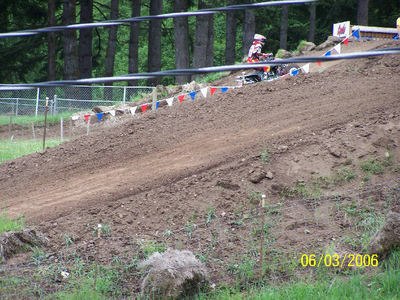 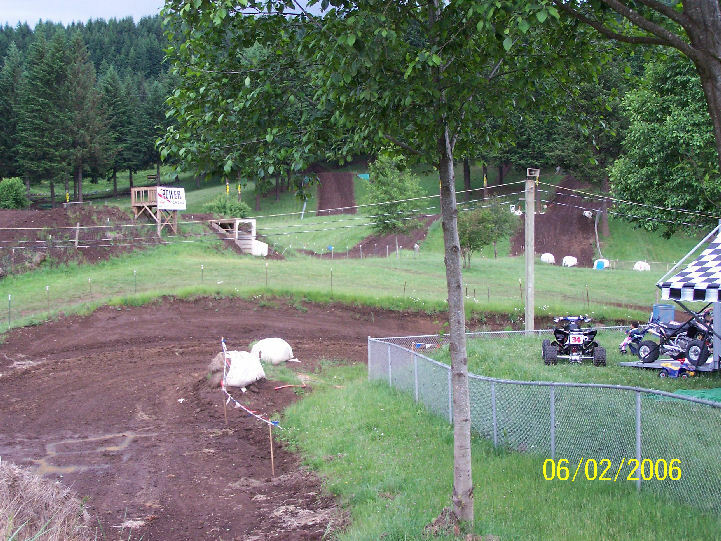 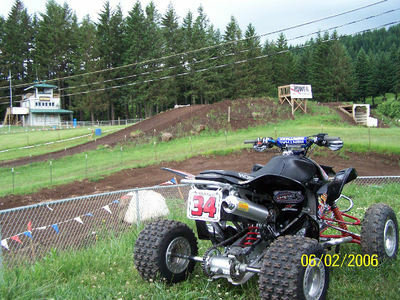 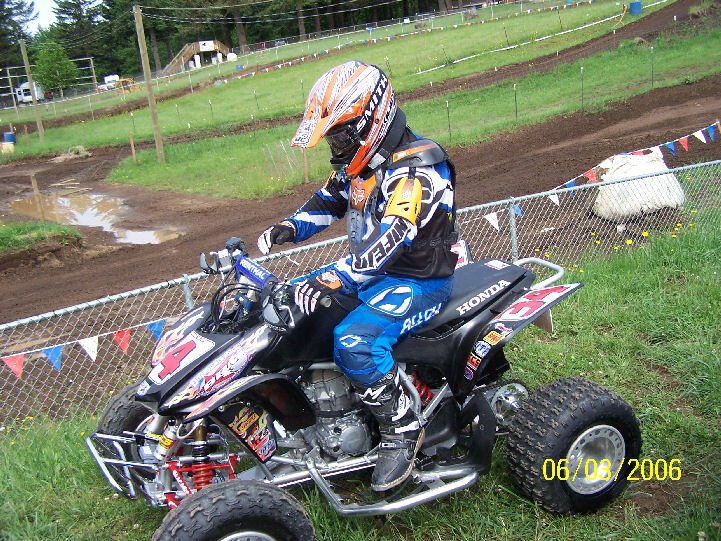 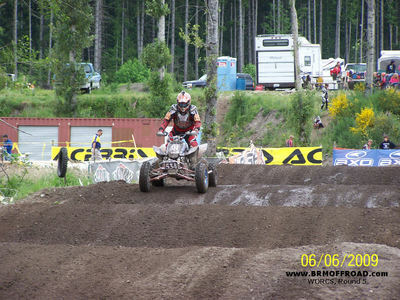 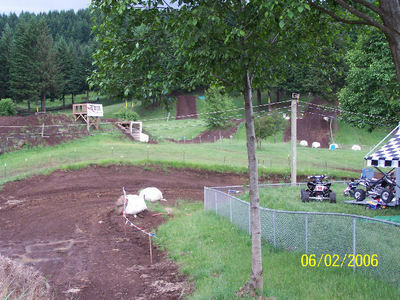 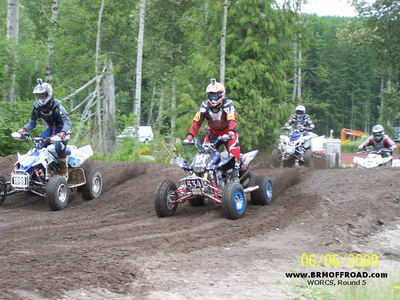 Round 5 was held at Riverdale Raceway in Toutle, WA. 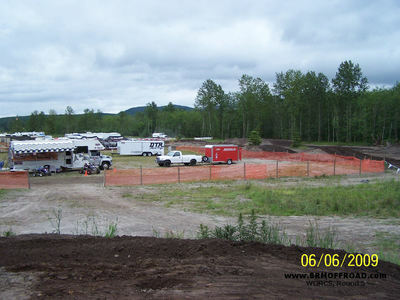 It was originally scheduled for the weekend of June 20th but we found out Monday morning that it was moved up two weeks. 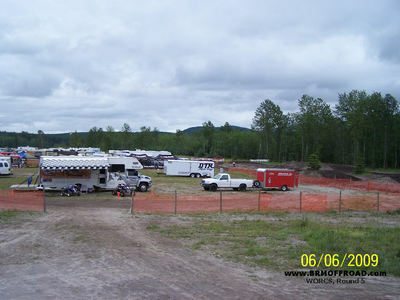 We didn't have much time to plan, knowing it would take over 22 hours to get there. 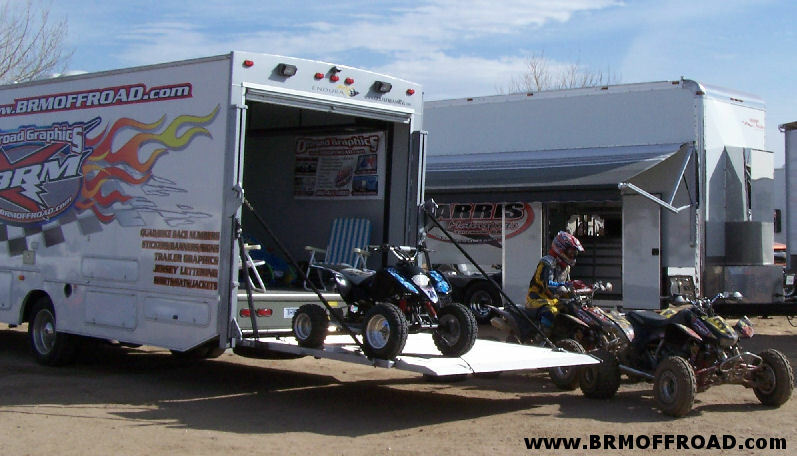 This was a new venue for us but we had a great time traveling over 1400 miles, playing at parks, and visiting family along the way. 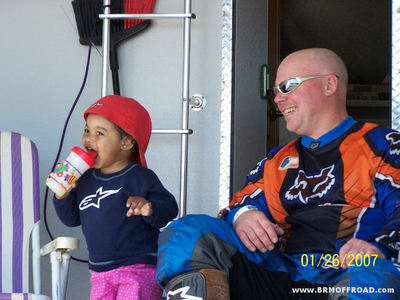 Actually we skipped practice on Friday and made time for family we hardly get to see. 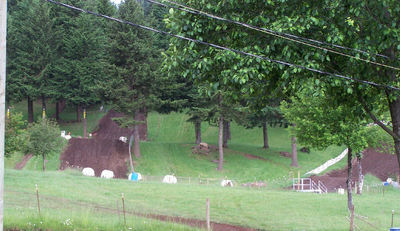 After weeks of sunny skies in the area, we were hopeful for a continuation... but that wasn't the case. 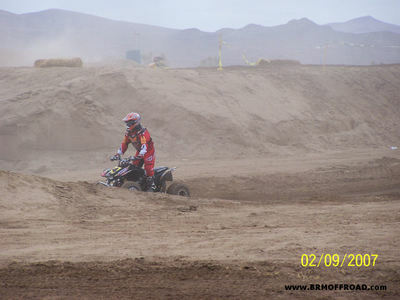 There were extremely heavy rains on Thursday that tapered off late Friday. With standing water on the track, we started our pre-race walk. 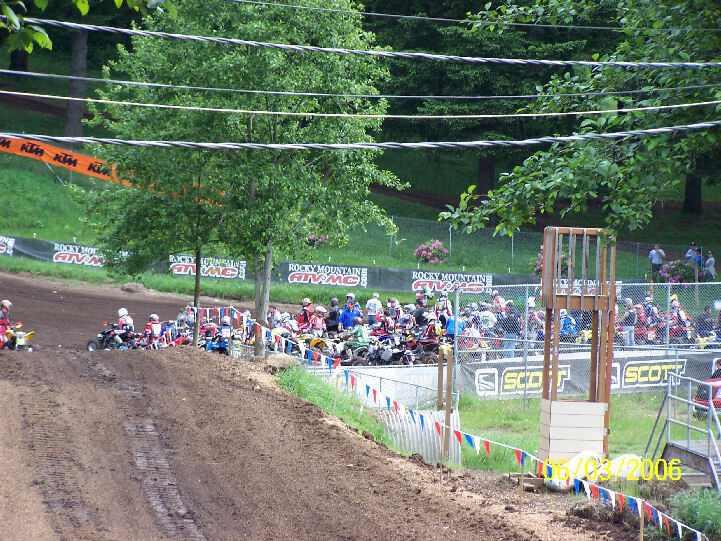 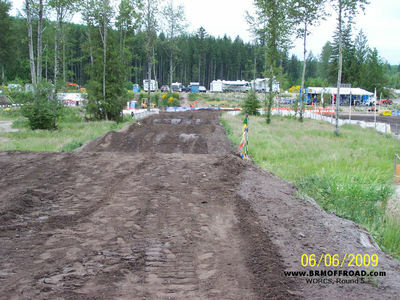 The woods section looked narrow, and that was definitely the case under race conditions. 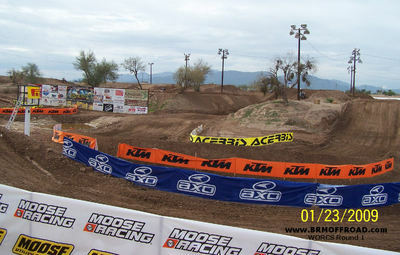 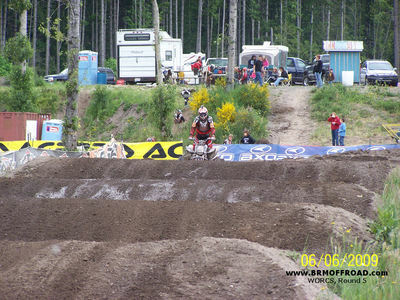 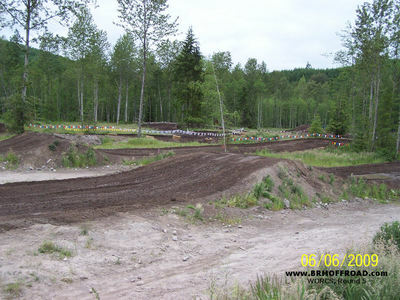 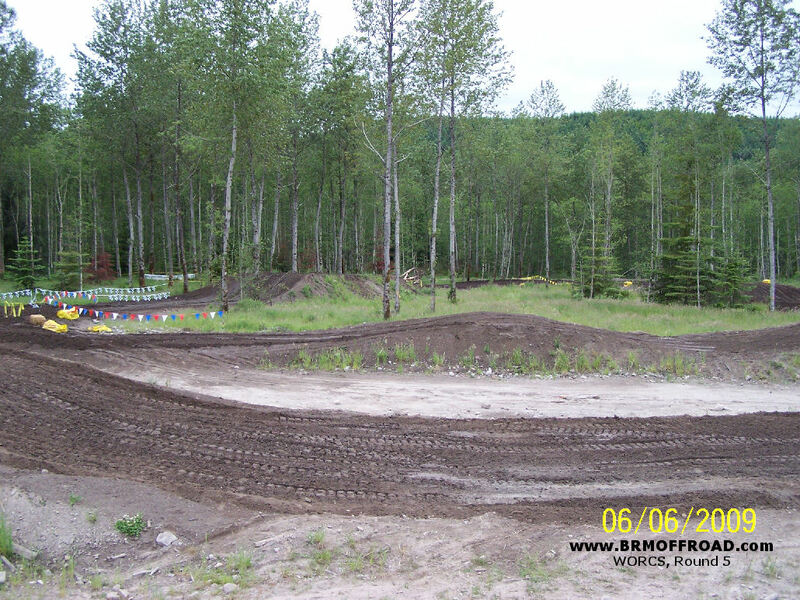 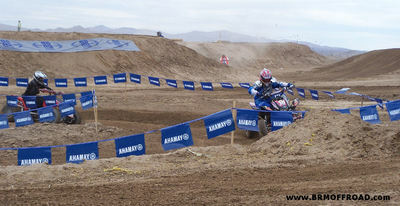 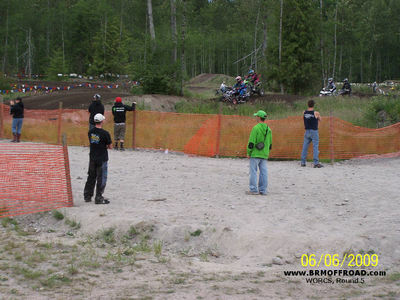 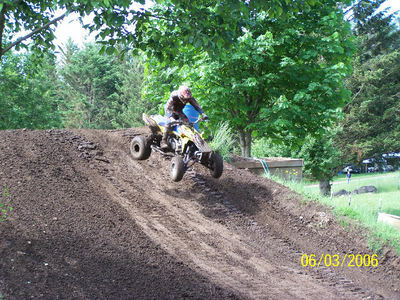 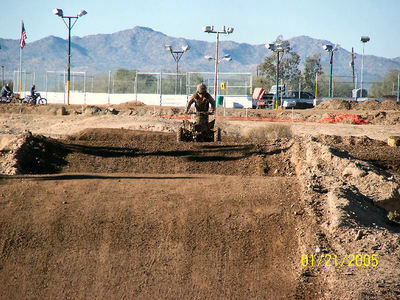 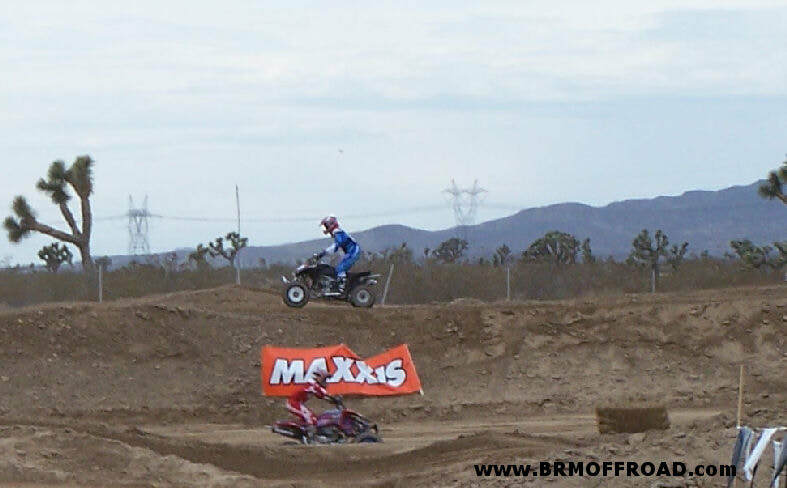 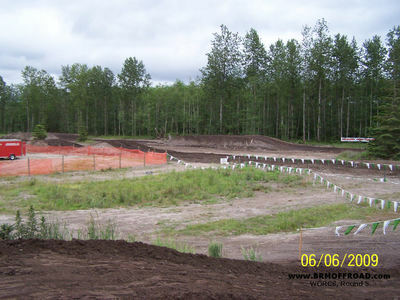 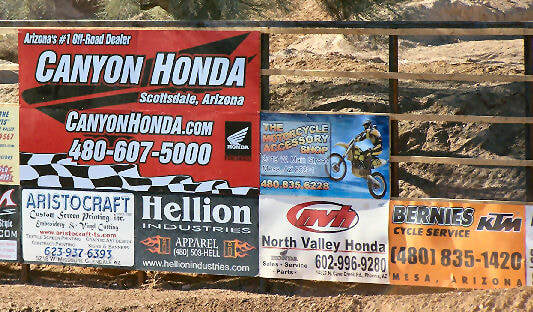 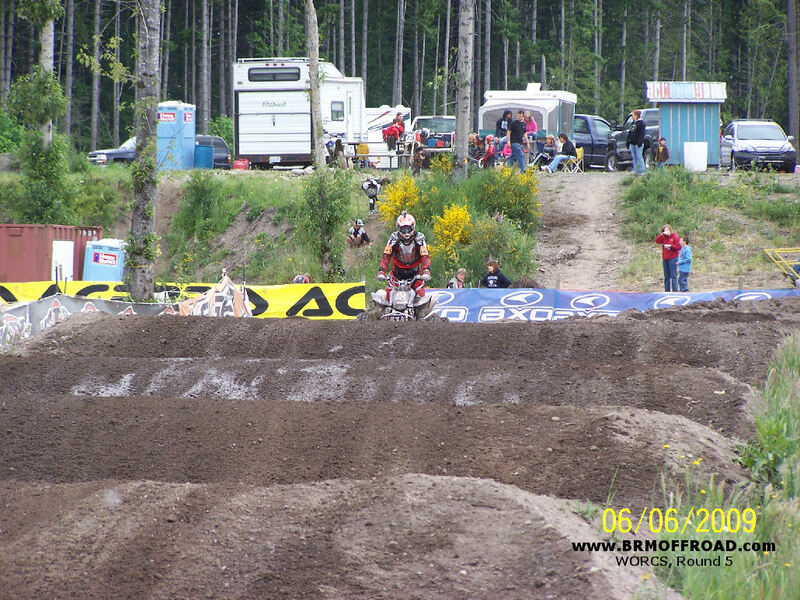 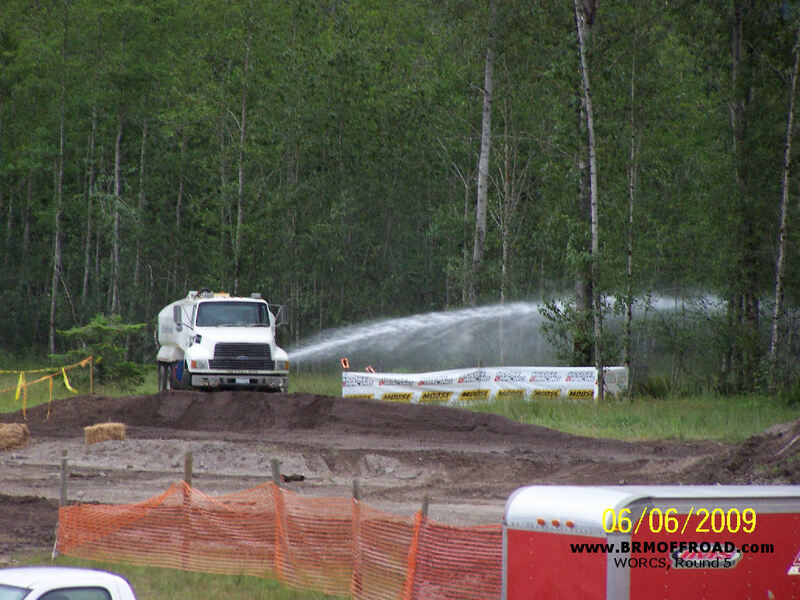 The mx section looked fun, with the dark rich dirt of the northwest. The overall course seemed to be about 6 miles in length and proved to be brutal both physically and cosmetically to some quads that didn't fair so well in the trees. 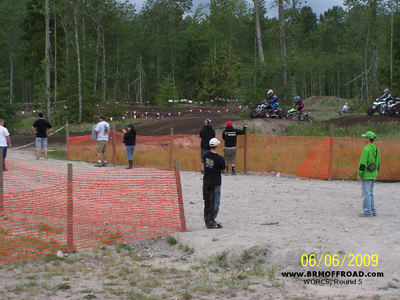 Team rider Missy Barrett was in Race 3 and lined up on the far outside of row 3 for the start of the Womens A class. 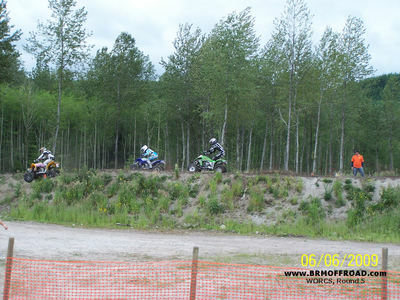 The flag waved and Missy got her usual 'slow' start J but with all the other gals pushing deep into the short distance to turn 1, she dove underneath and came out of turn 1 in 3rd place. Her best start ever. The gals all raced thru the first portion of the mx section and then into the woods section. 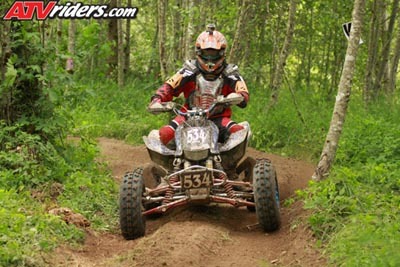 Missy got passed in the first part of the woods, but stayed hot on the other gals heels. As they approached a right hander, the gal in front almost stalled it causing a chain reaction slow down, for Missy. She was passed by a few others and now trailing the pack. 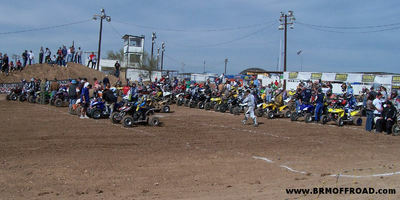 They were all still close and flying down the drag strip. 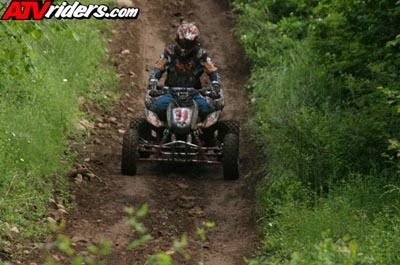 Missy was right behind one of the local racers, Brandi, as they jumped back into the north end woods. 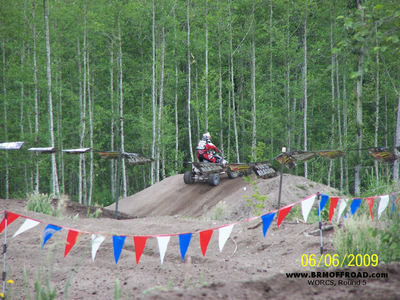 Brandi clipped a stump and sent her rolling hard. 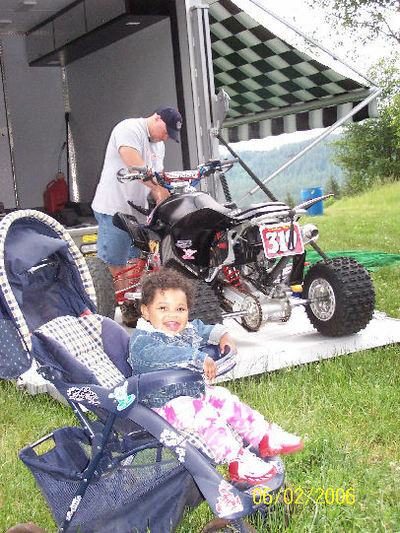 Her quad ended up on top of her, in a corner, plugging the tube. 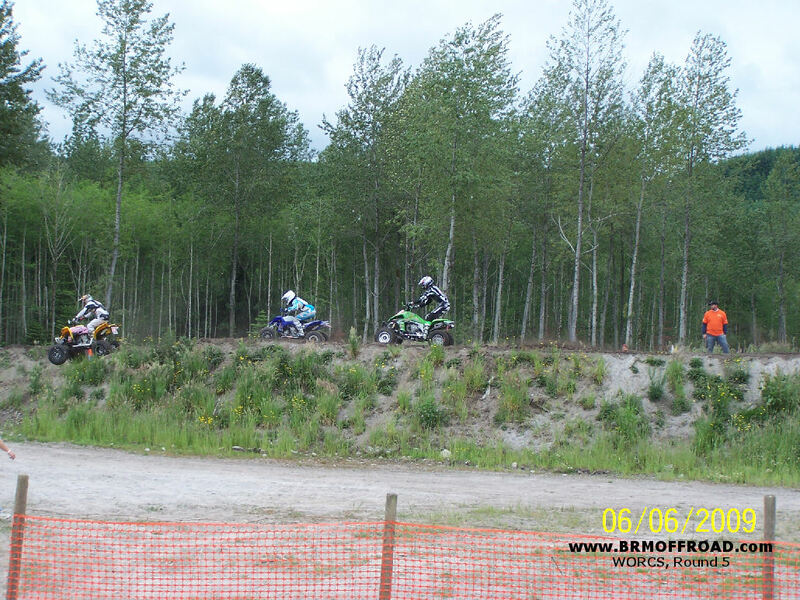 Missy was able to stop in time and helped Brandi out while the rest of the field disappeared into the dense trees. Shortly after Brandi was able to slide out a sweeper showed up to help clear her quad out of the way. 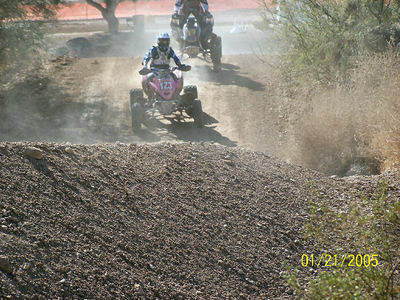 Missy was extremely far behind her class and the next group of racers were coming hard. 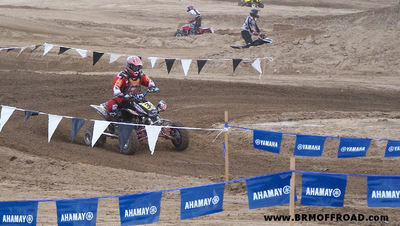 She took off with a Production B rider right behind her, who she held off for a little while. 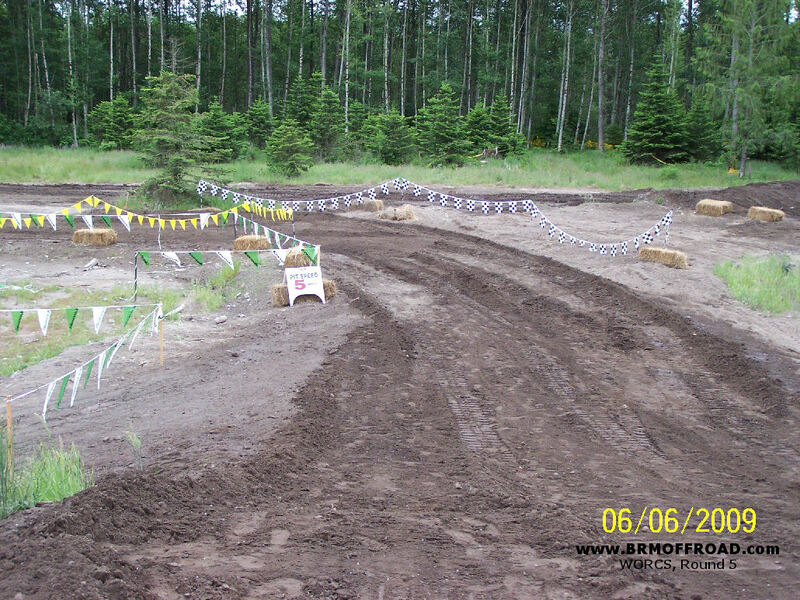 With the ruts in the woods already developing, and the heavily tree lined course, there wasn't much room to pass anywhere out there. 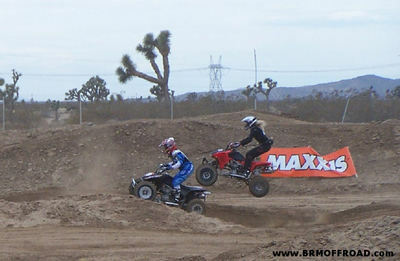 Missy finally gave way to the Prod B racer only to come up on him about 3 turns later. 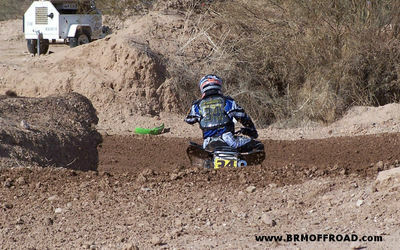 He went too hot into a corner and made soft contact with one of the trees. Missy had to wait for him to free himself before either one of them could get going again. 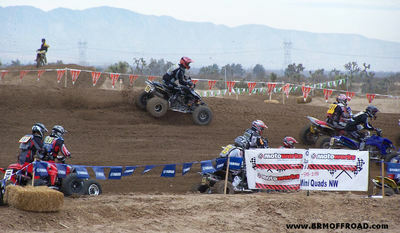 And now, the Stock B class was coming hard. Missy had completely given up on making a run in her class knowing that with all the people, herself included, getting high-centered in the woods she had little chance of gaining on them. 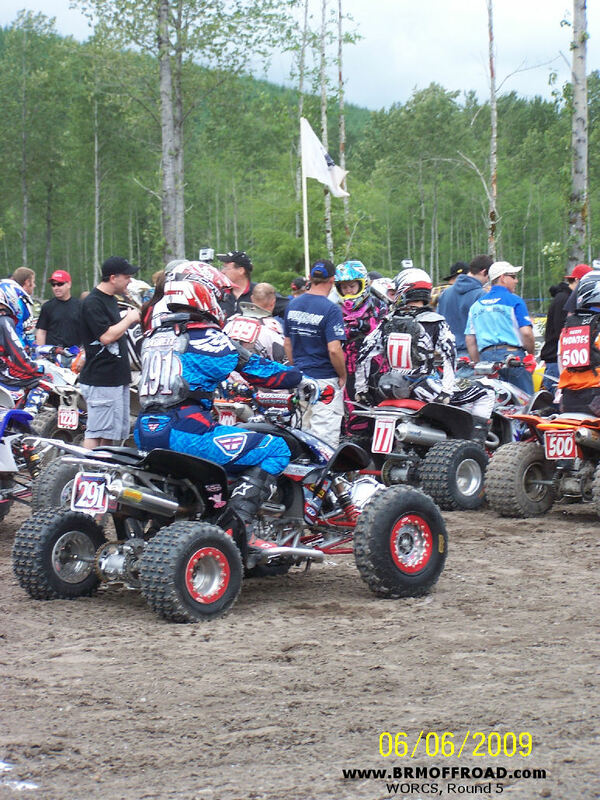 She was having good battles with the new group of riders she found herself in though and as several of them crashed lightly or got stuck, it wouldn't be long before the Production A class would be coming around on them and yelling for everyone one to get out of their way. 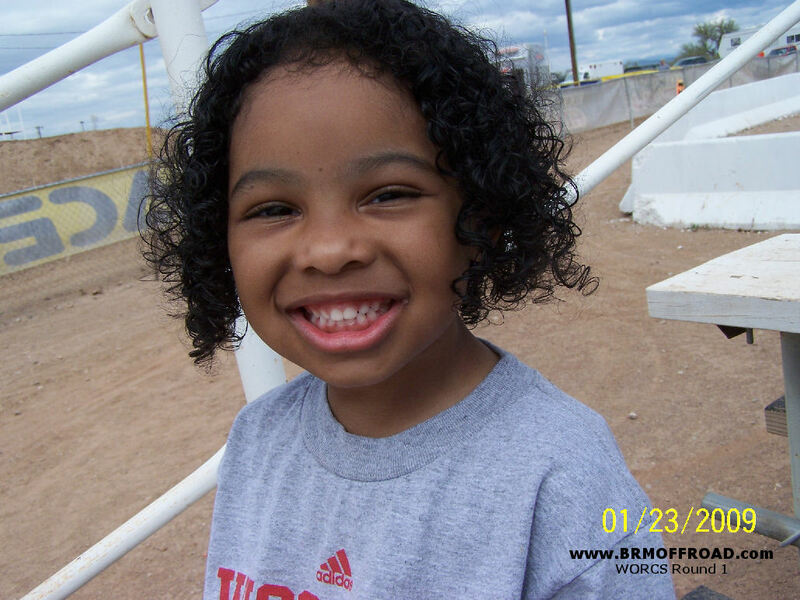 Missy was discouraged with her performance and the track, finishing 7th. Team rider Jeff Barrett was in Race 4, lined up on the outside of row 5. 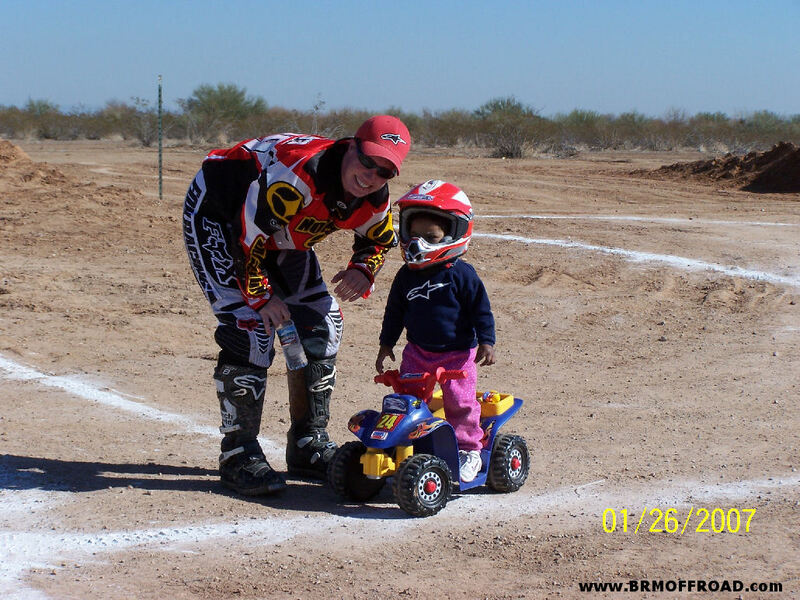 He liked Missy's start and was going to go with the same approach. 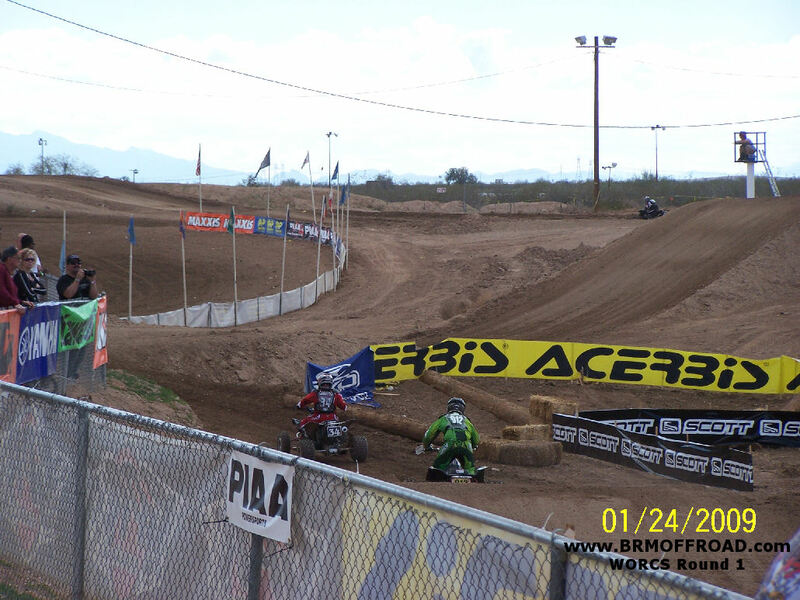 The flag was waved and they were off! 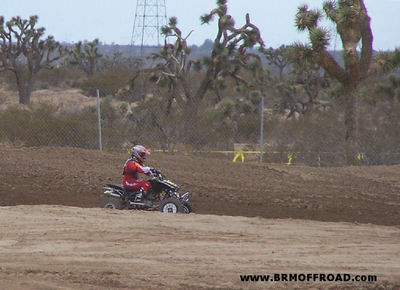 Jeff came out of turn 1 near the back but made a couple of quick passes in the rollers and was in 3rd by the time they went out of view into the woods section. Jeff was right behind the guy in 2nd as they made their way thru the thick forest. 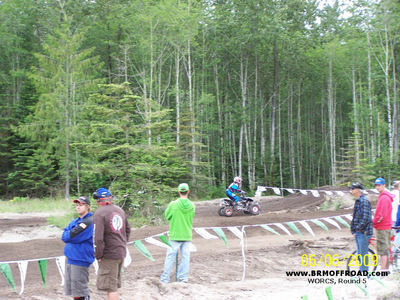 About half way thru the woods on the north end, both the 2nd place racer and Jeff went too hot into a corner and then, into the trees. 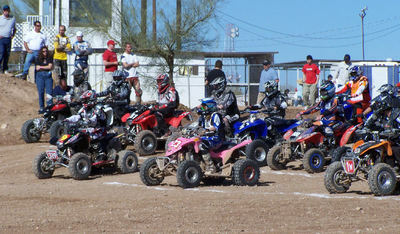 The rest of the field, and the group behind them, went by and they were struggling to get going again. 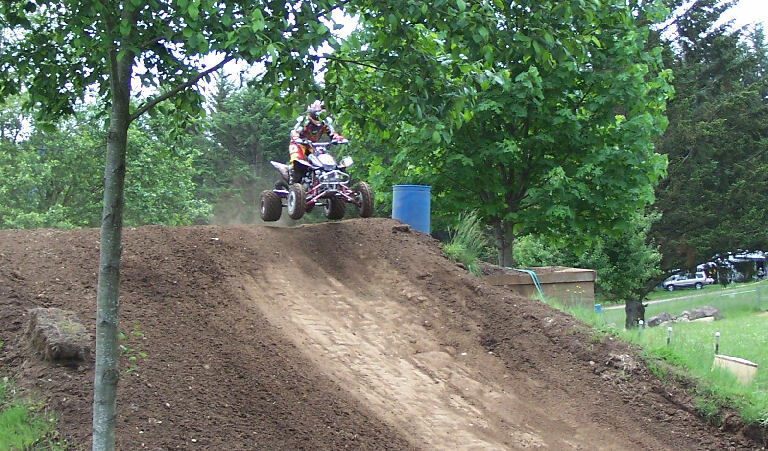 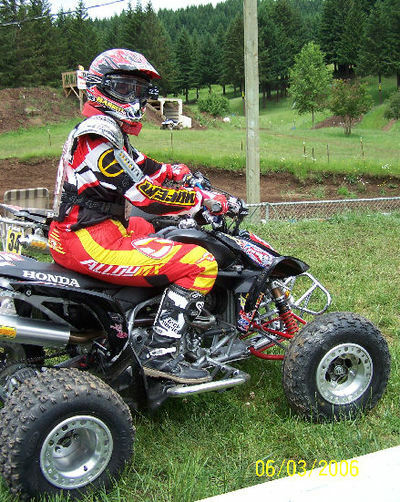 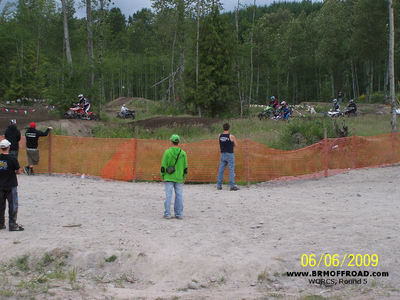 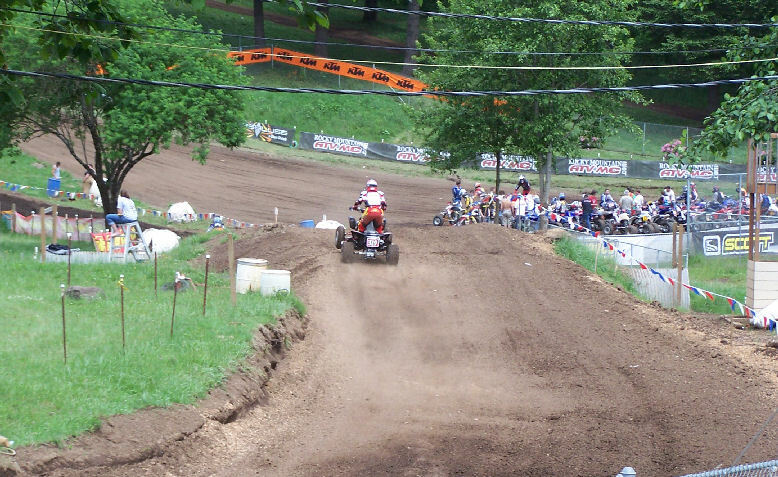 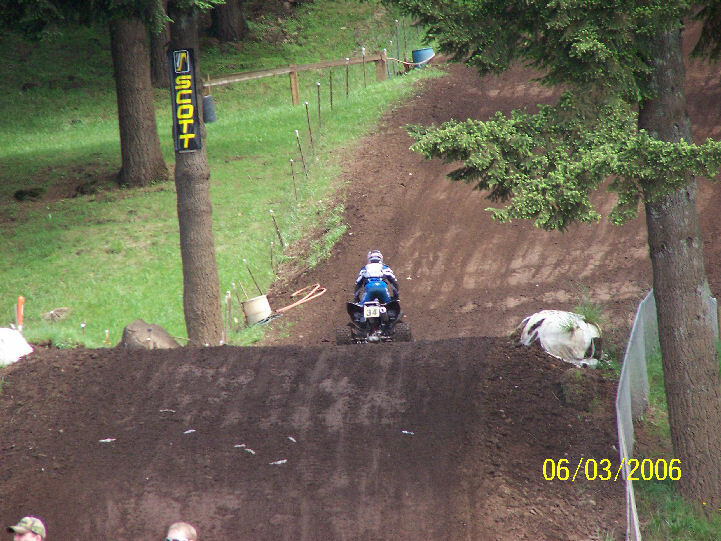 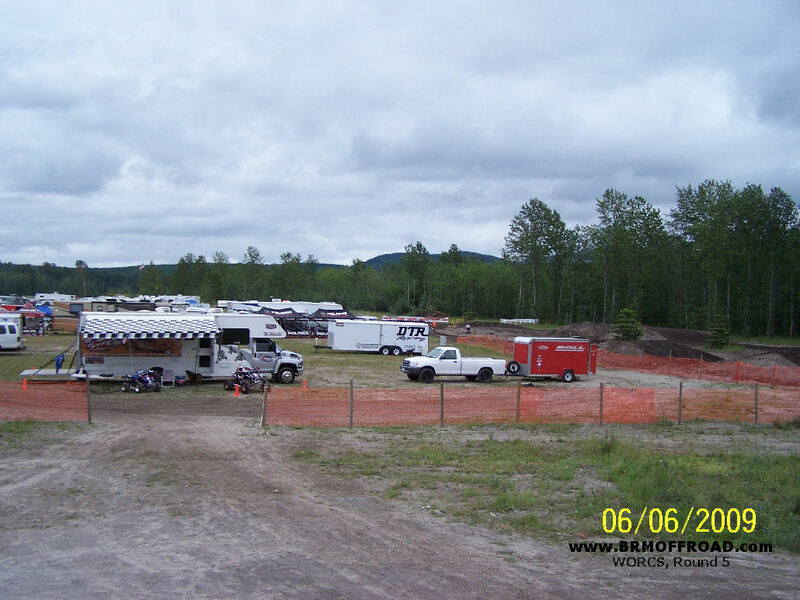 Jeff's race went about the same as Missy's, with what seemed like several racer getting high-centered in the ruts and trying to lift their quad out, getting stuck trying to go over the logs up the slick hills, hitting trees, waiting for others only to be the next victim... 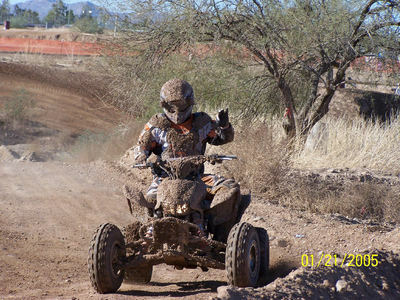 The utility quad class probably had a great time out there J. Jeff spent a lot of time helping riders get unstuck, just to clear the path, only to find himself stuck in the same spot once it was his turn. 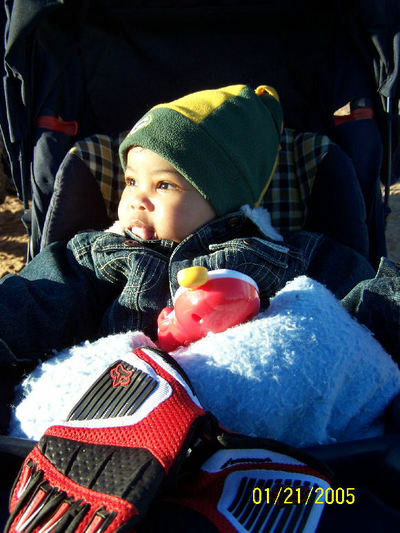 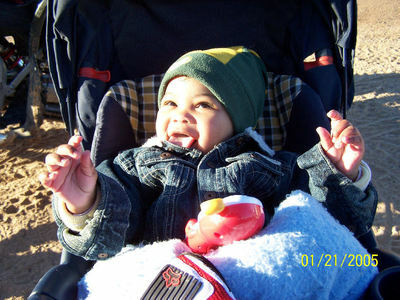 He got more worn out just lifting quads all day than actually riding. 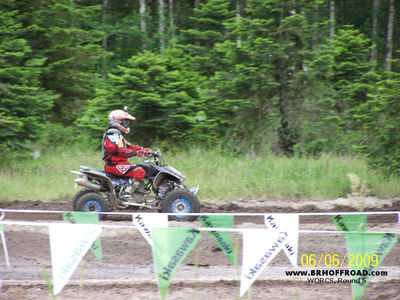 Jeff also finished 7th in his class. 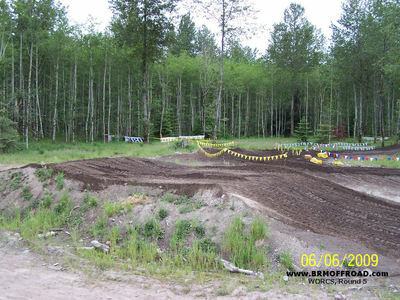 The track was challenging, but could have been more fun if there would have been a little more room in the woods section. 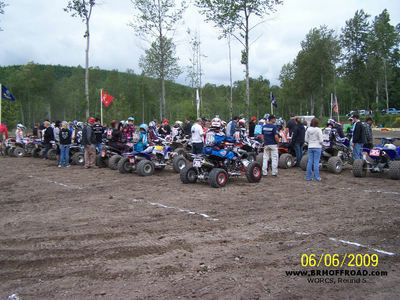 There was a lot of sitting time, every lap, just waiting for others (and ourselves) trying to get un-stuck. 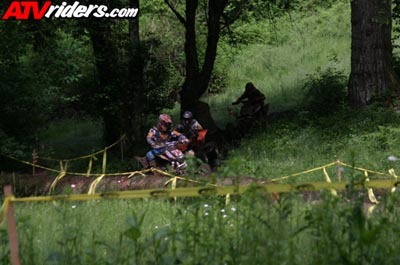 As racers, we all know to take different lines, but the trees were so thick that there weren't many options. There were a lot of racers with helmet cams, us included, and I'm sure there will be plenty of boring video in the woods section... well, it might be pretty funny watching how long and often racers got stuck. 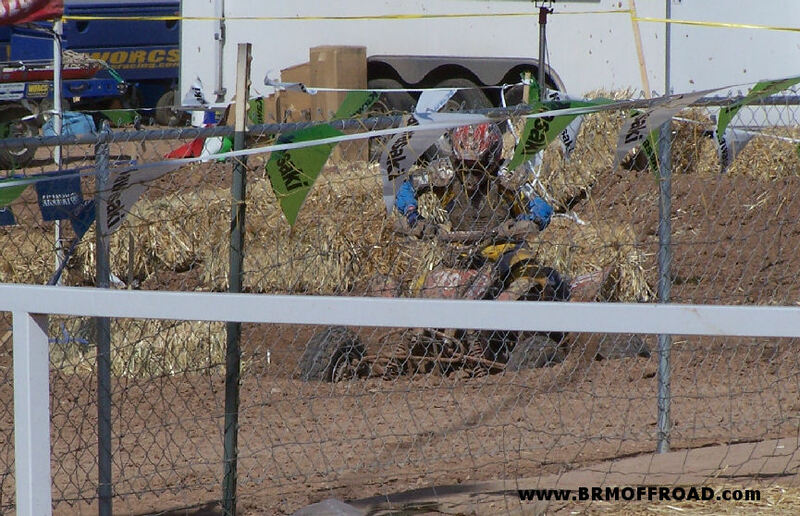 We can't wait for our next race back in the southwest where we can actually feel like we're competing against the other racers and not just dodging trees, stumps, and the occasional 3 foot deep trench that swallowed up a few racers. 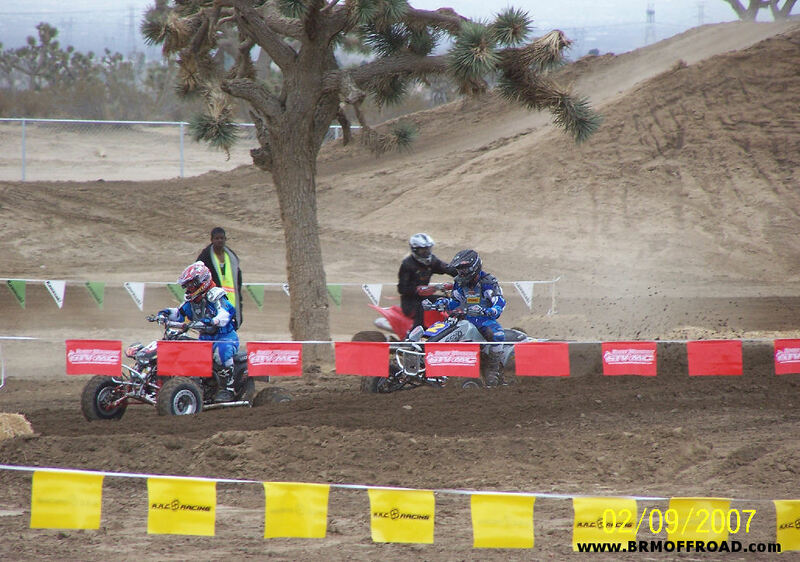 Several of the trees were skinned as smooth as a baby's bottom from everyone's front tires. 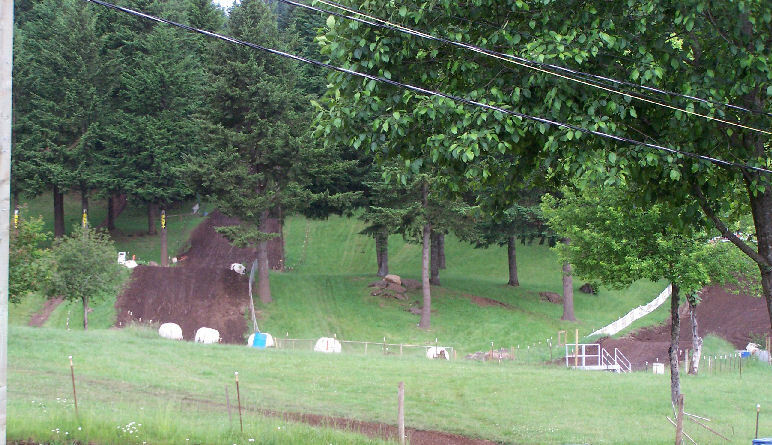 I guess this track goes to prove that although we were both born and raised in the northwest, we do not have the skills that the tree-hugging northwest riders have. 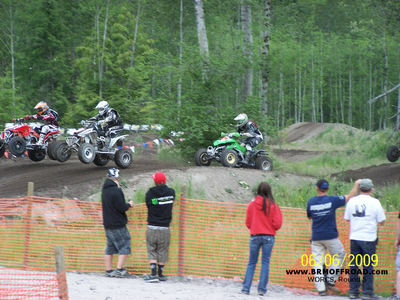 There were some that blistered thru the trees, and some that lost their front ends completely. Looking back, we laugh at how often we got stuck (every lap), but also how we weren't the only ones. 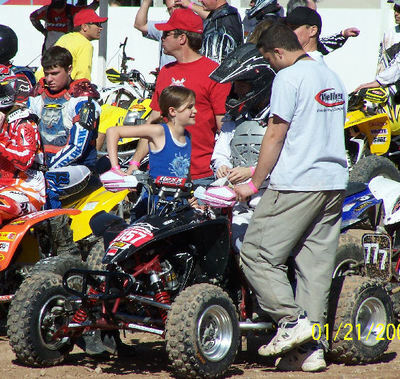 It was more like showing up at 31 flavors, picking your number, and waiting your turn. 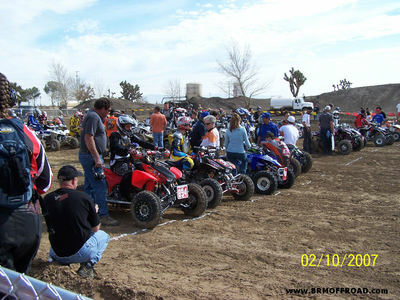 Overall we had fun and would still recommend the long trip to all the southwest racers. 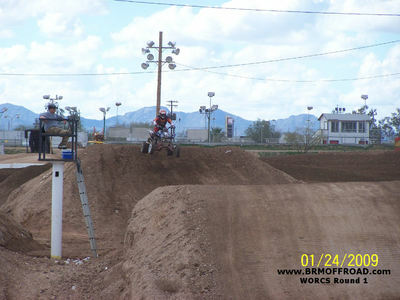 Below are some pix we took while participating in our 2nd year with WORCS. 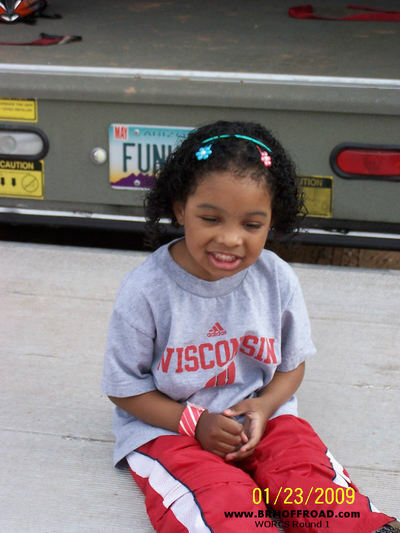 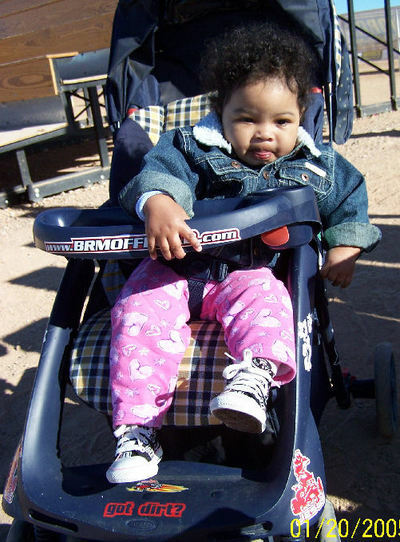 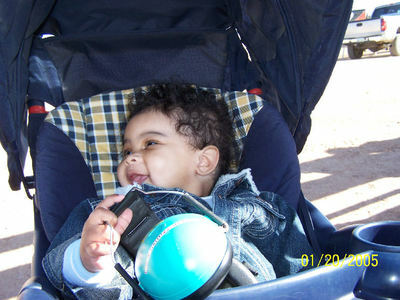 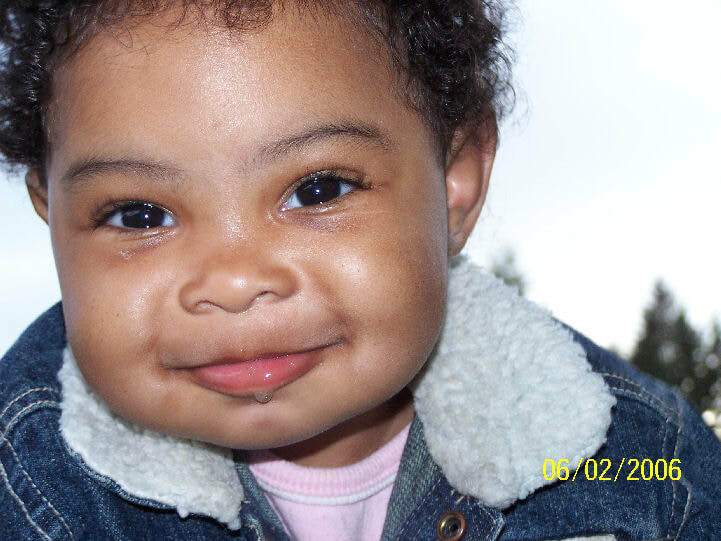 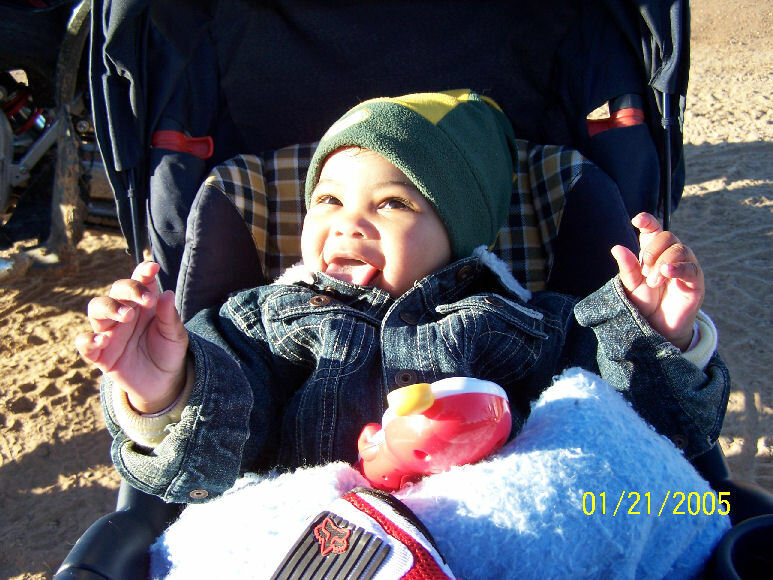 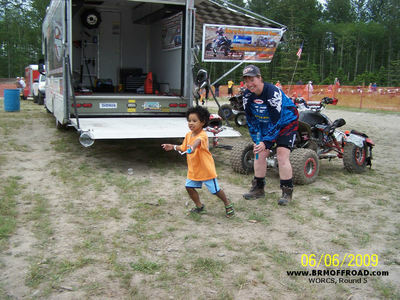 Although our work and family schedules don't allow us to make all the races, we continue to hit as many as we can. 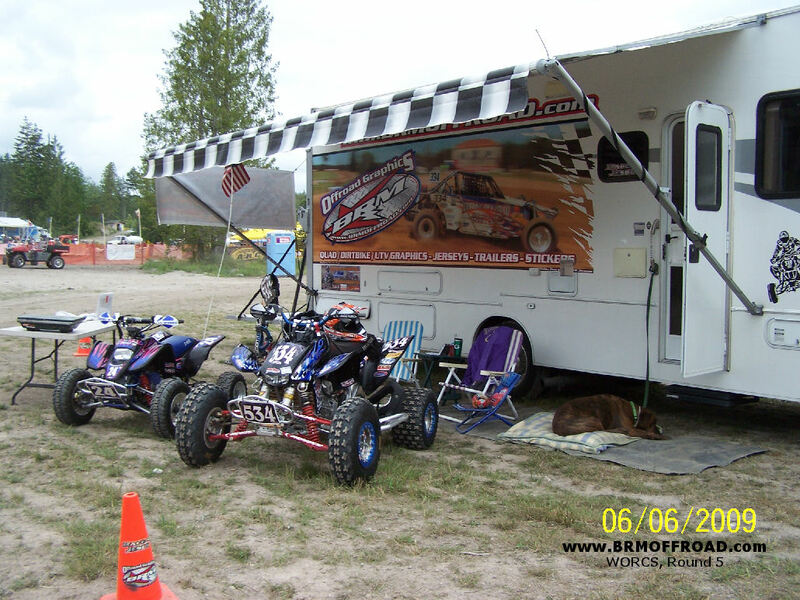 We celebrated our 16th anniversary at Round 2 at Racetown this year. 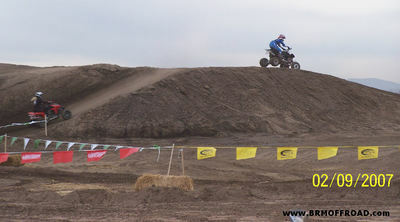 And although we didn't finish as high as we were hoping, we still had a lot of fun... just enjoying what we love to do. 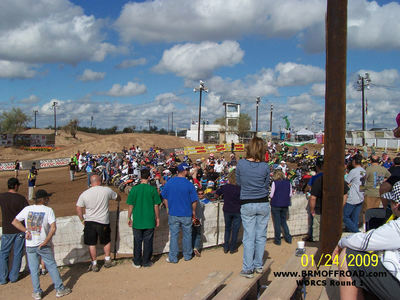 Along with us having a lot of fun out there, our daughter is getting closer and closer to lining up on the gate herself. A couple more years and she'll be in the 4yr old class. We will add updates and pictures as often as possible. We don't always have the camera ready at the races, but thankful to capture the moments we could. 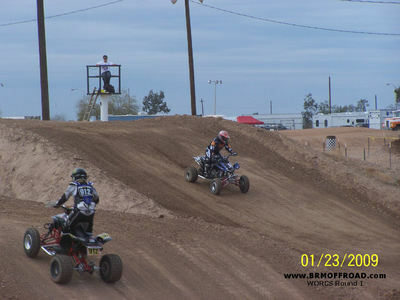 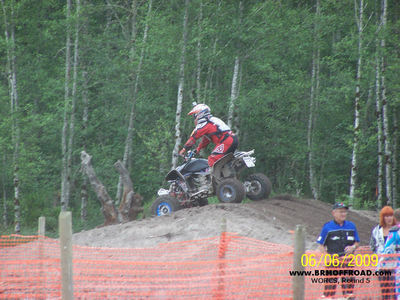 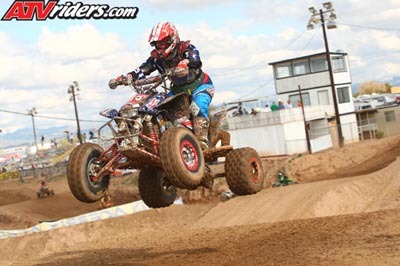 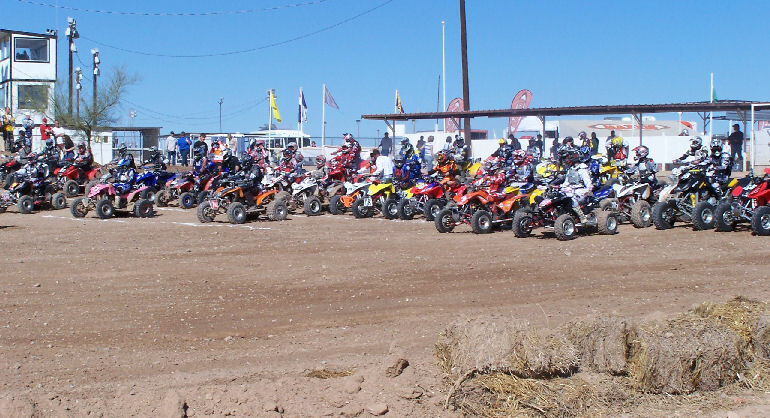 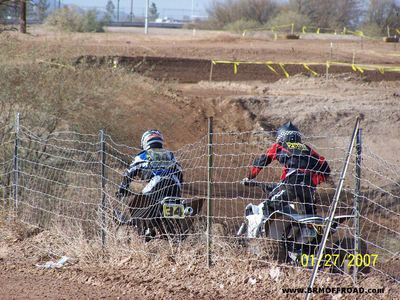 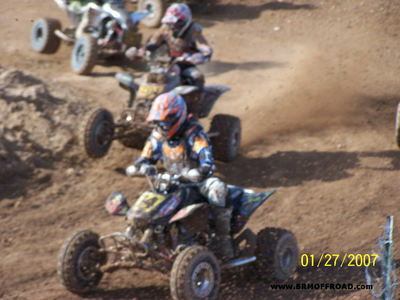 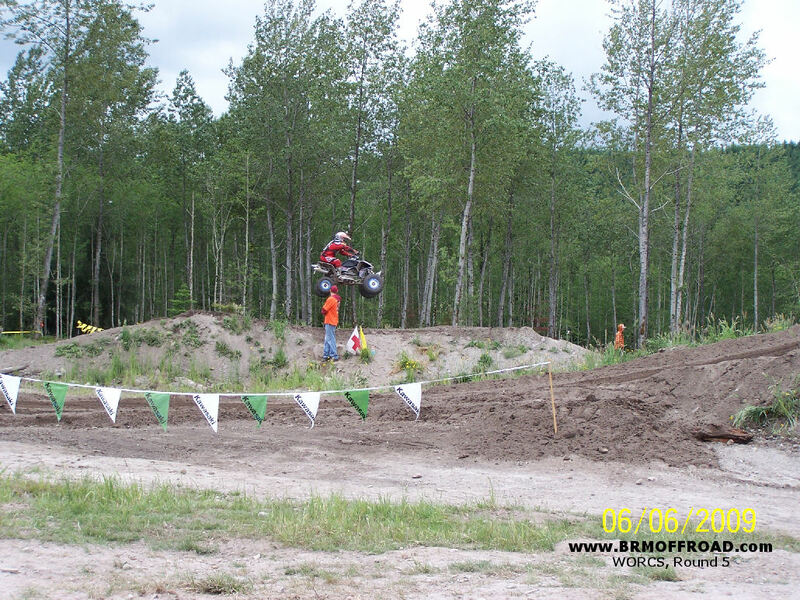 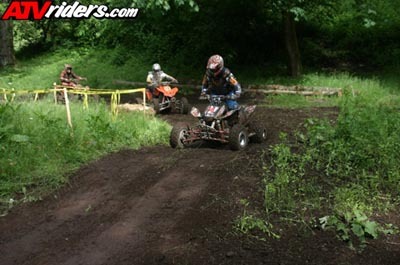 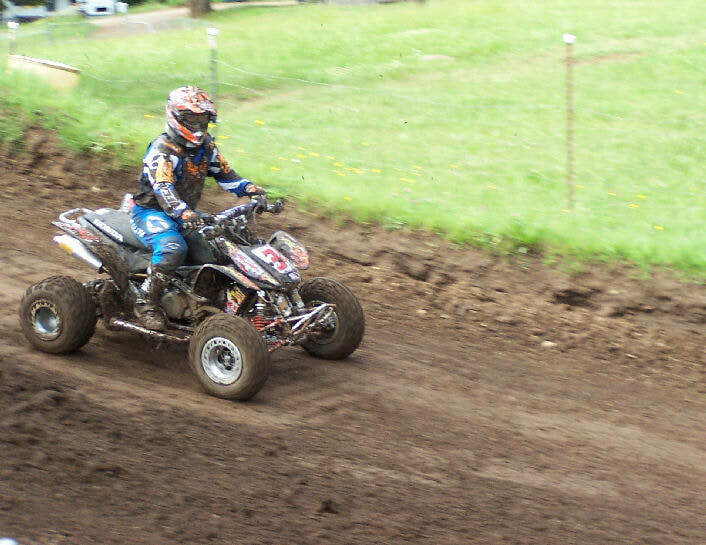 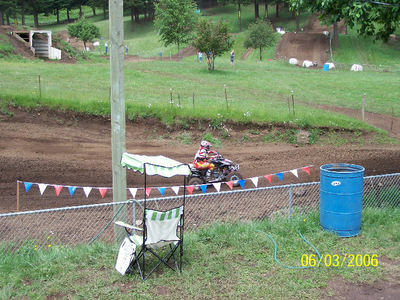 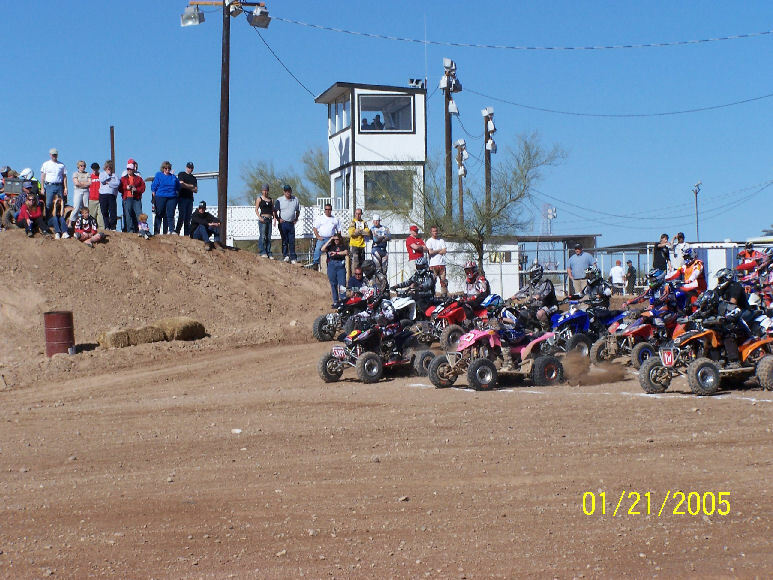 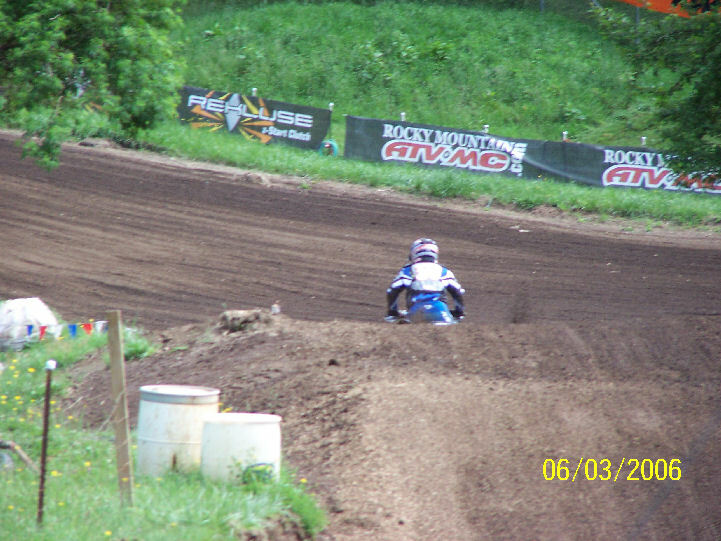 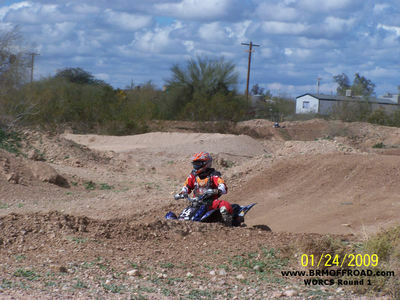 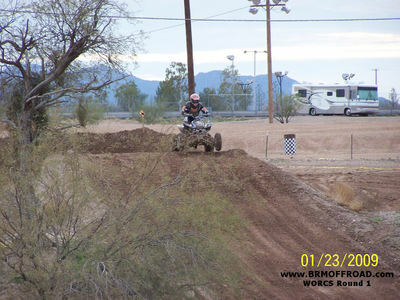 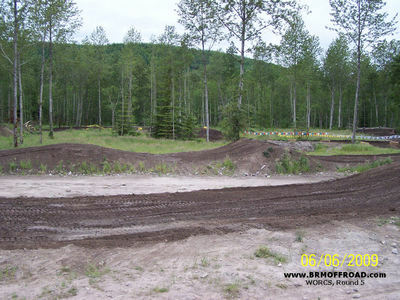 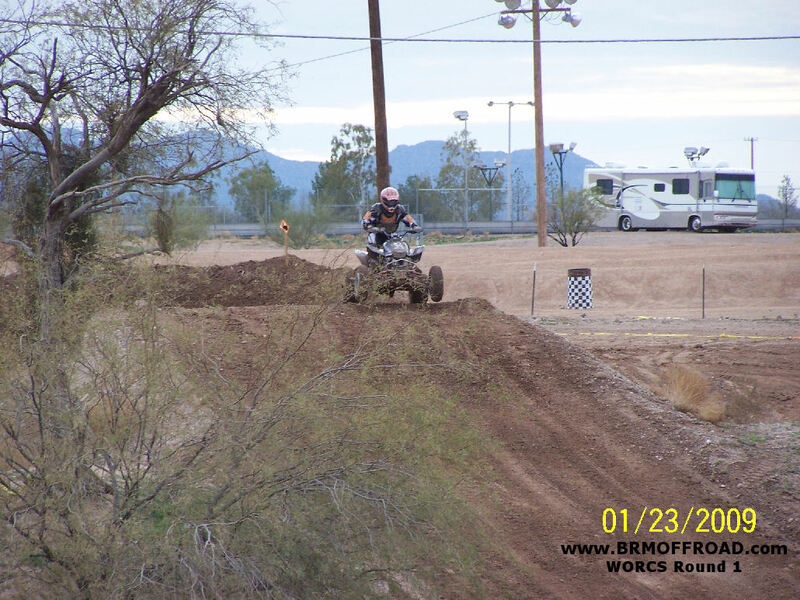 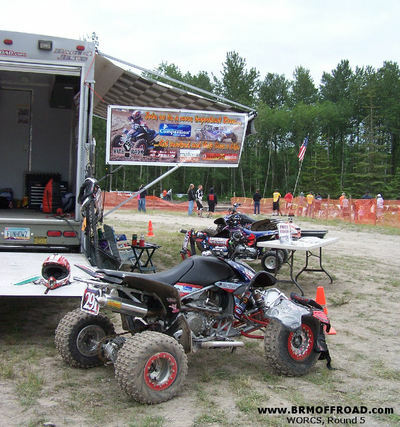 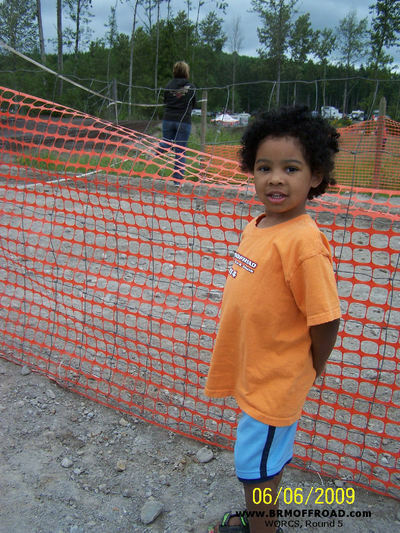 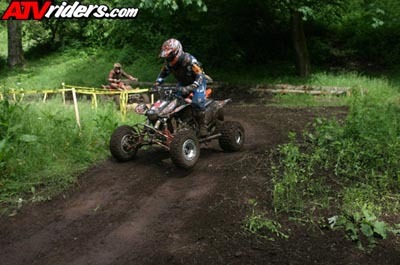 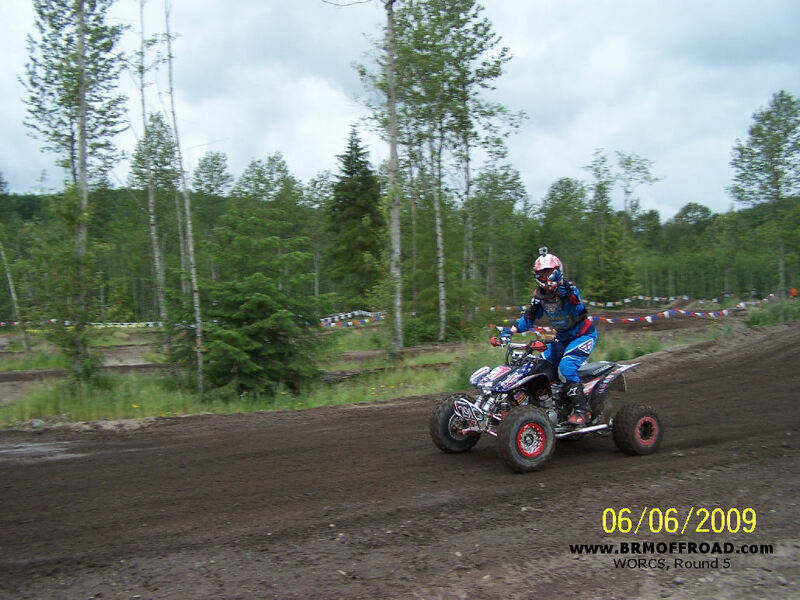 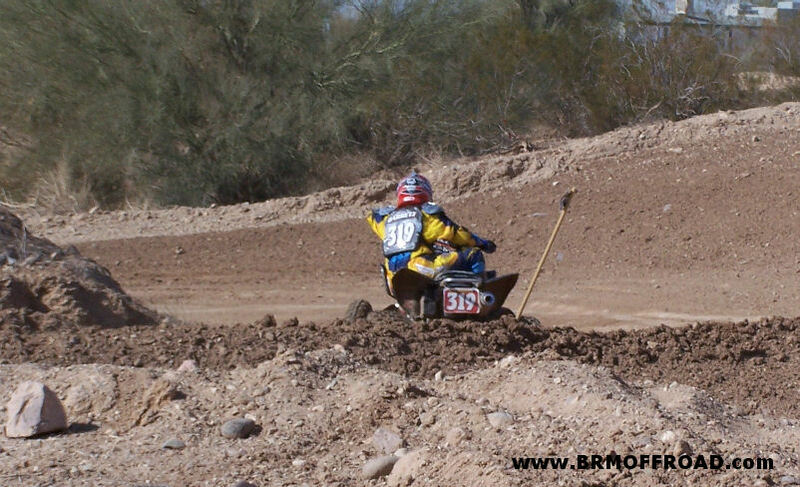 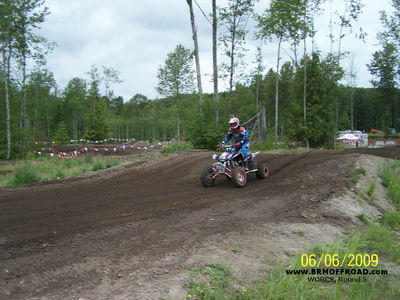 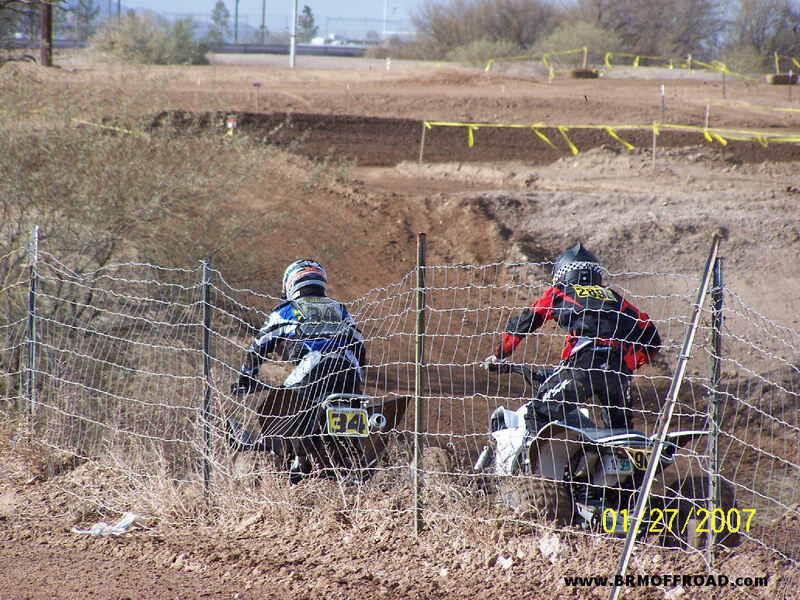 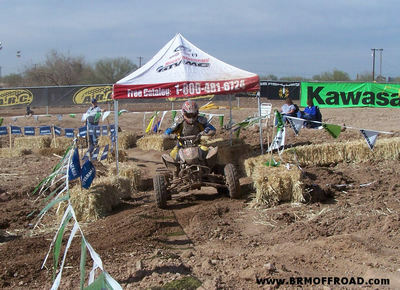 Below are some pix we took while participating in our 1st WORCS race. One of our photographers (Missy) didn't set the date stamp correctly on the new camera, so the pictures are really from 2006. We had a lot of fun and did better than we expected. Racing for an hour is not something we're used to, but the recovery wasn't too bad. 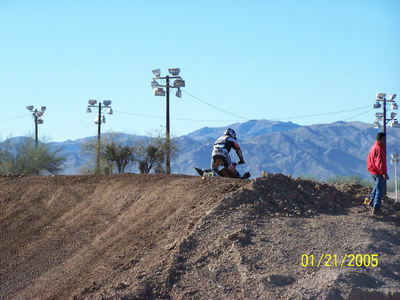 We had a great time especially on the mx section. 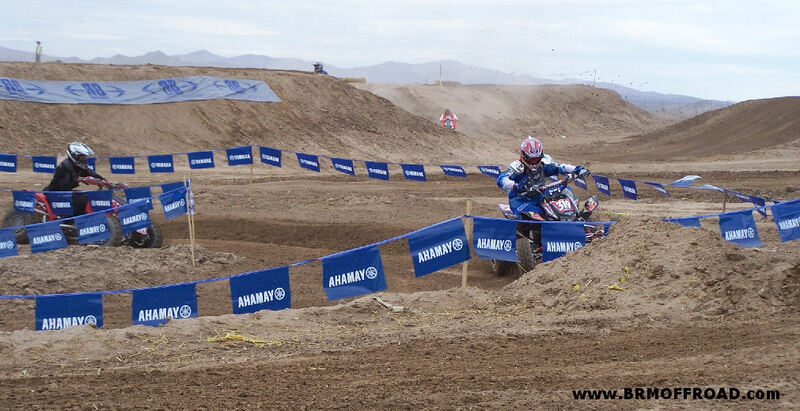 The desert section was brutal for us but once we get ourselves set up with some suspension we shouldn't get banged around as badly and won't be such a log jam for others. 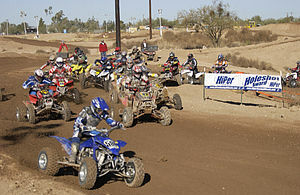 We're looking forward to round 2, it should be lots of fun. 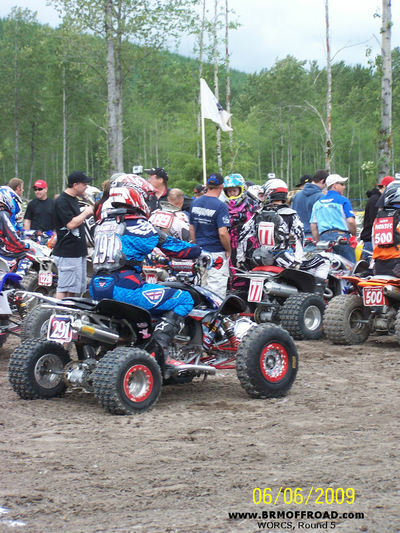 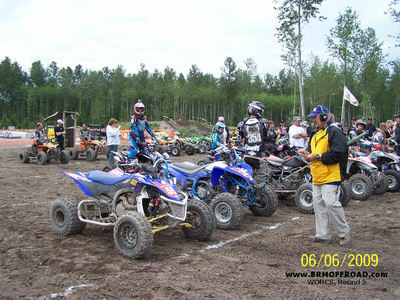 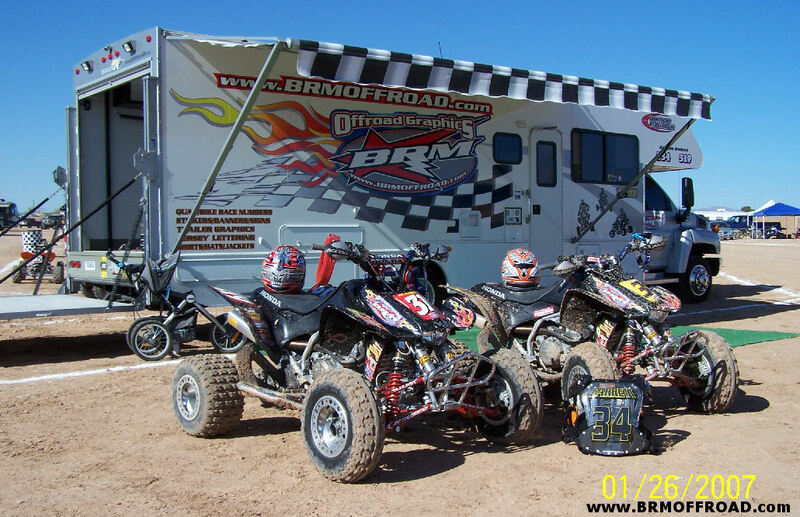 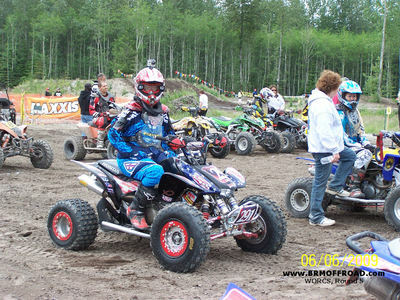 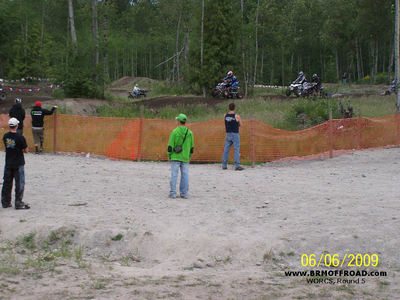 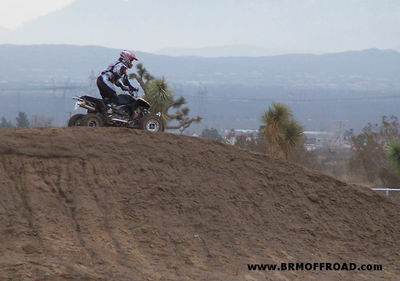 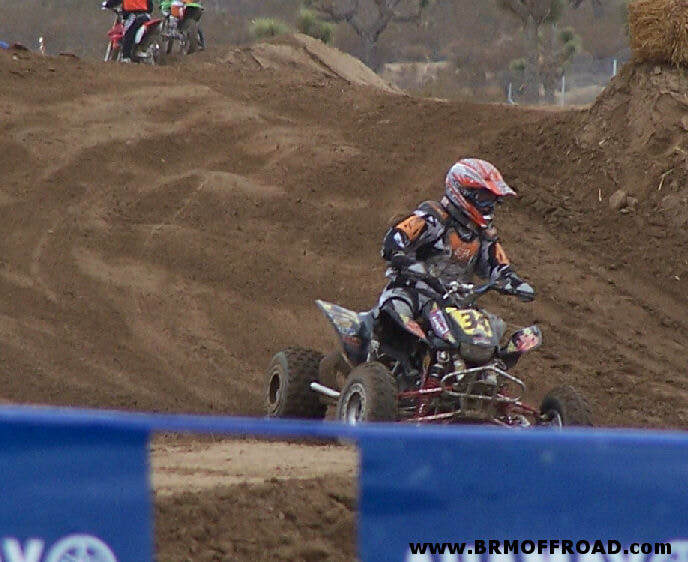 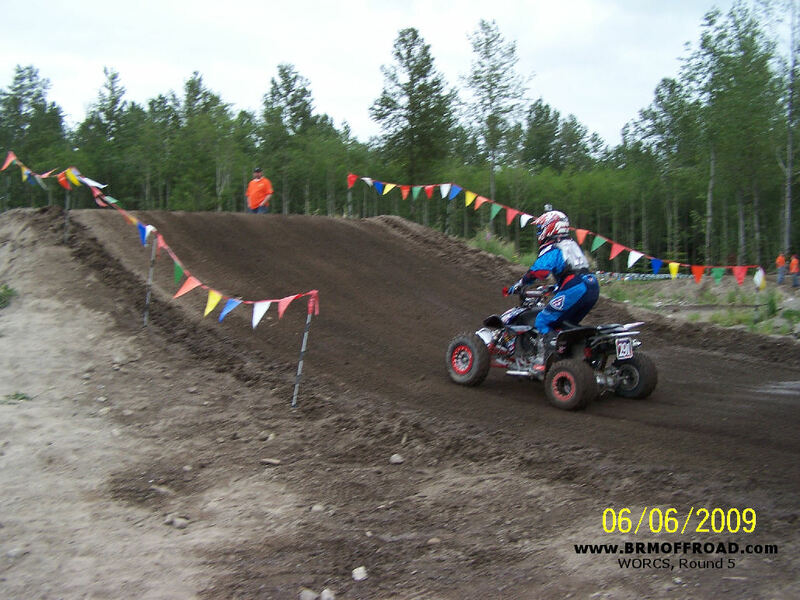 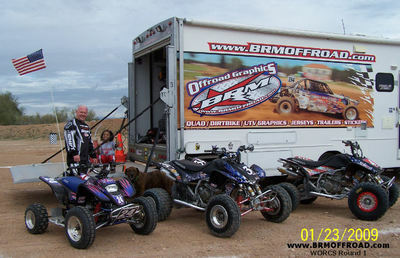 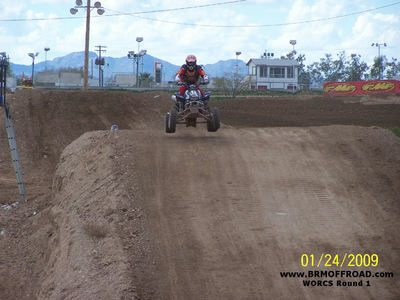 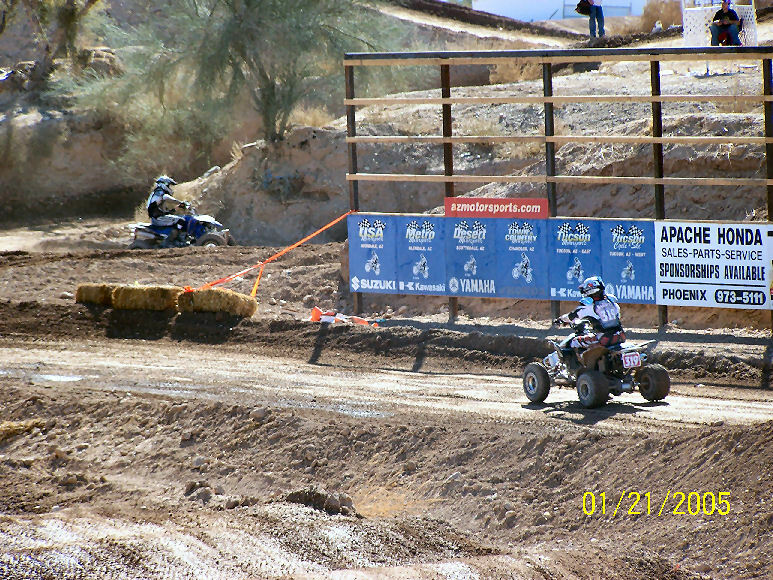 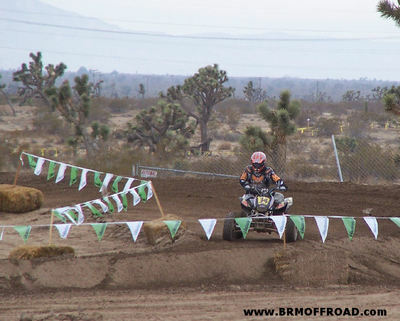 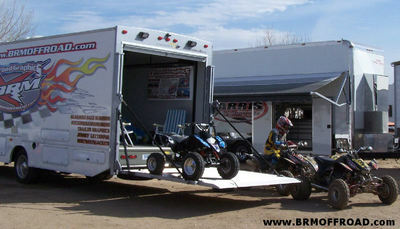 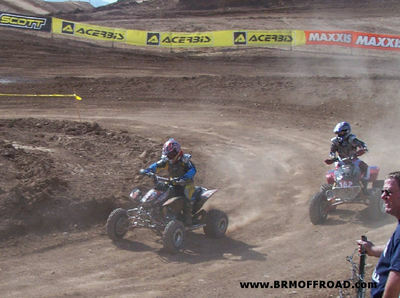 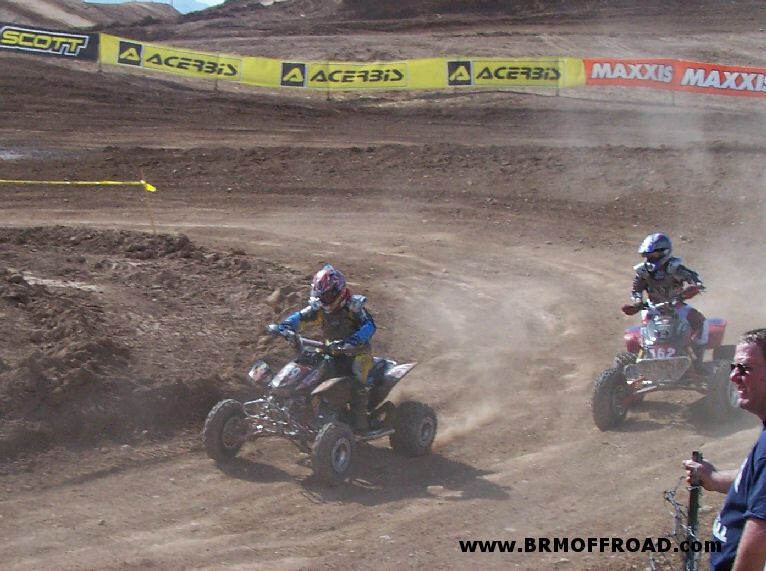 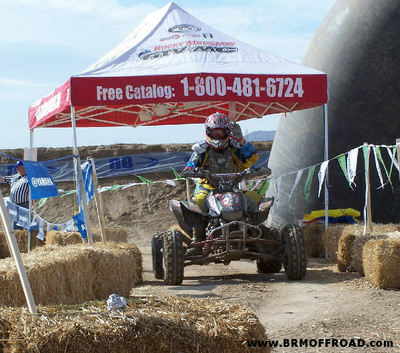 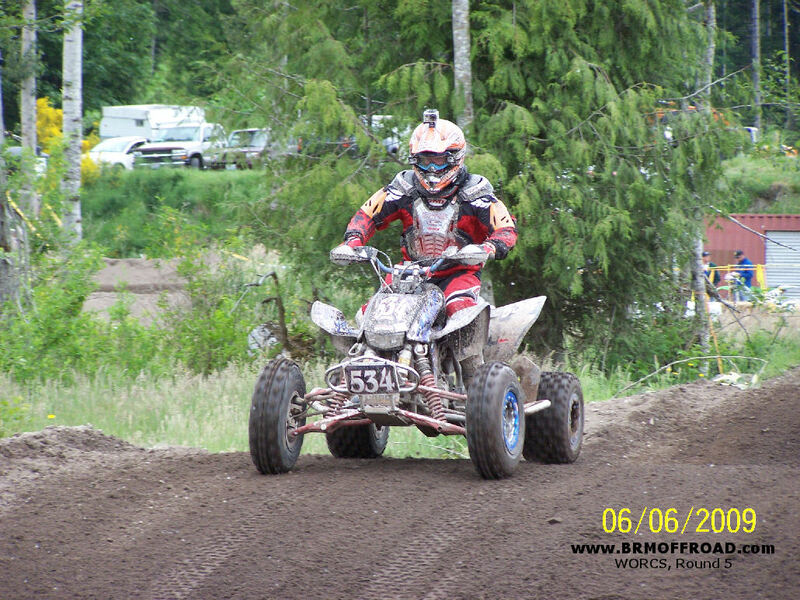 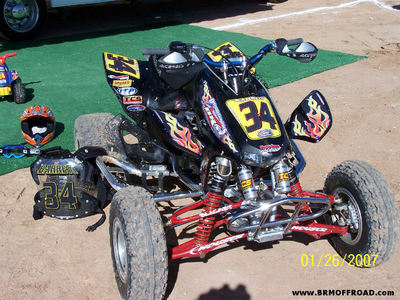 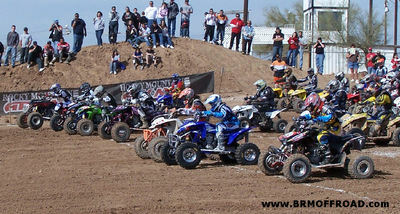 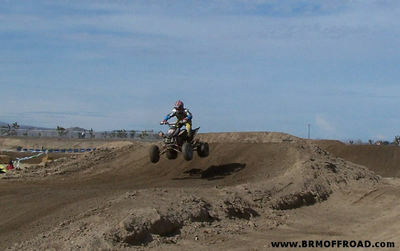 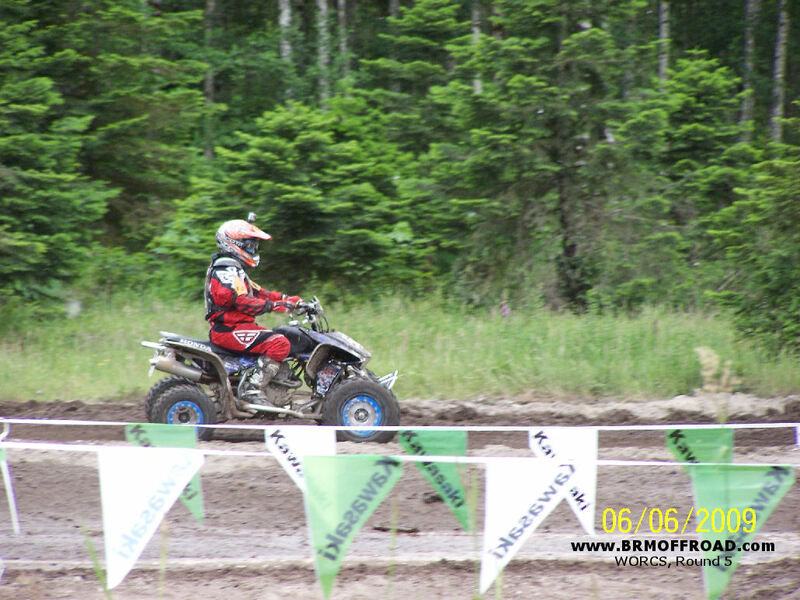 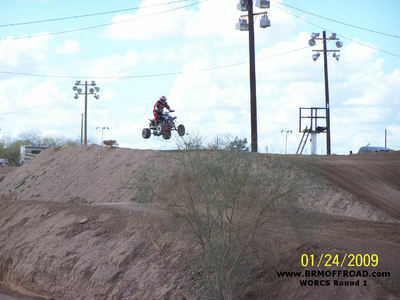 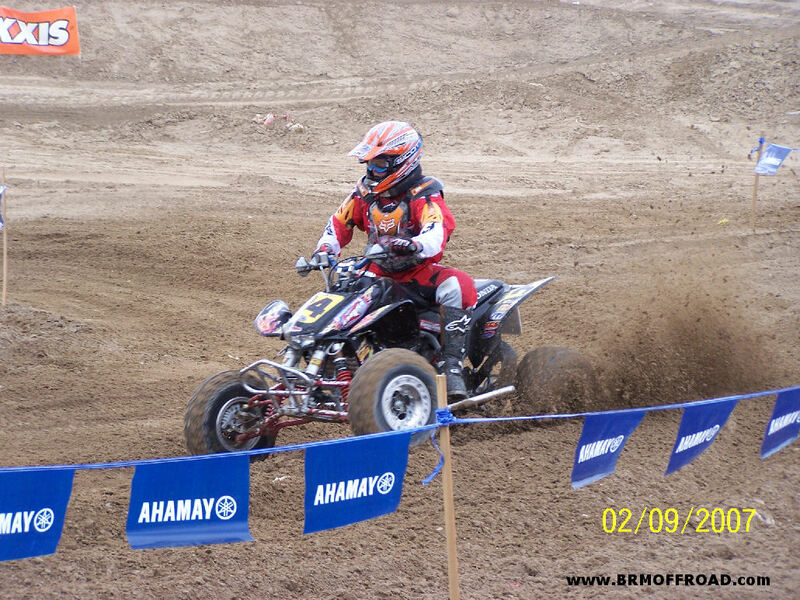 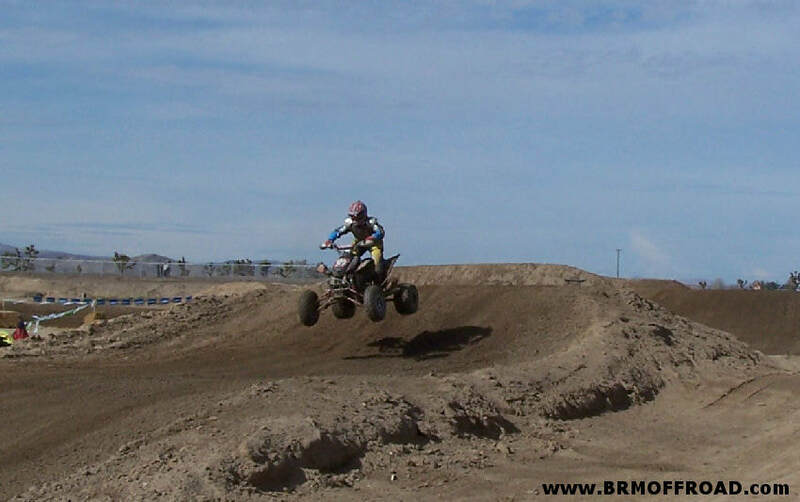 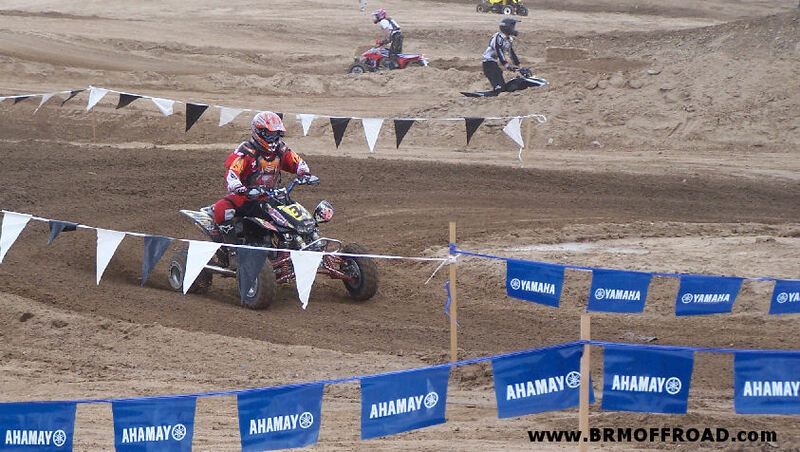 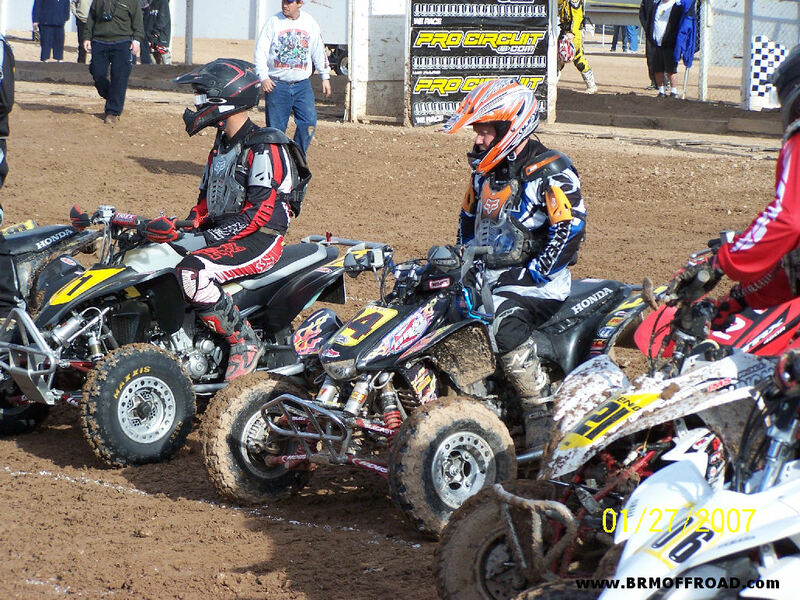 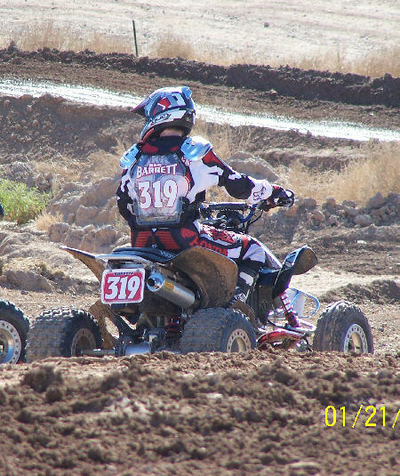 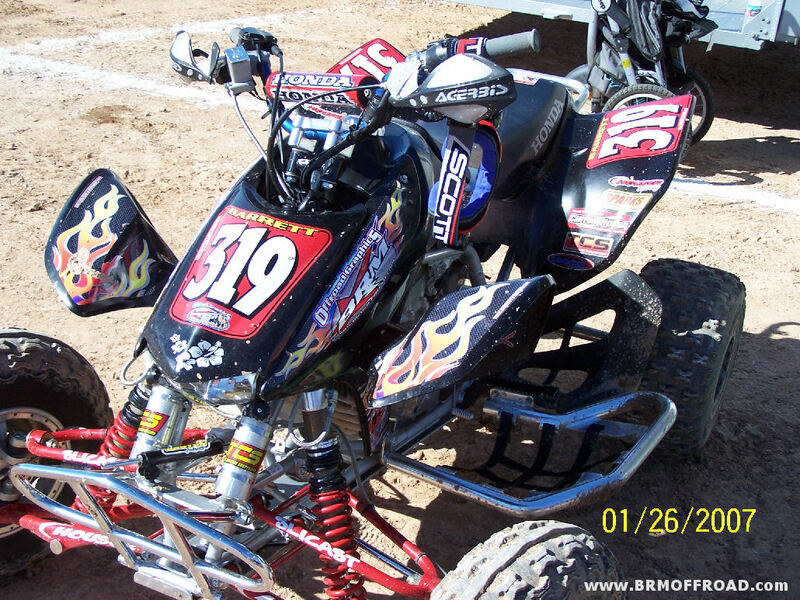 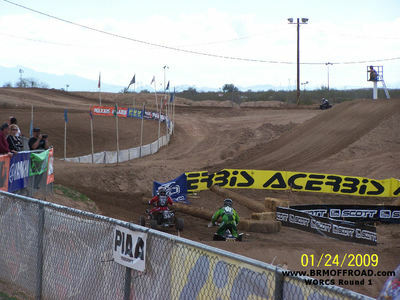 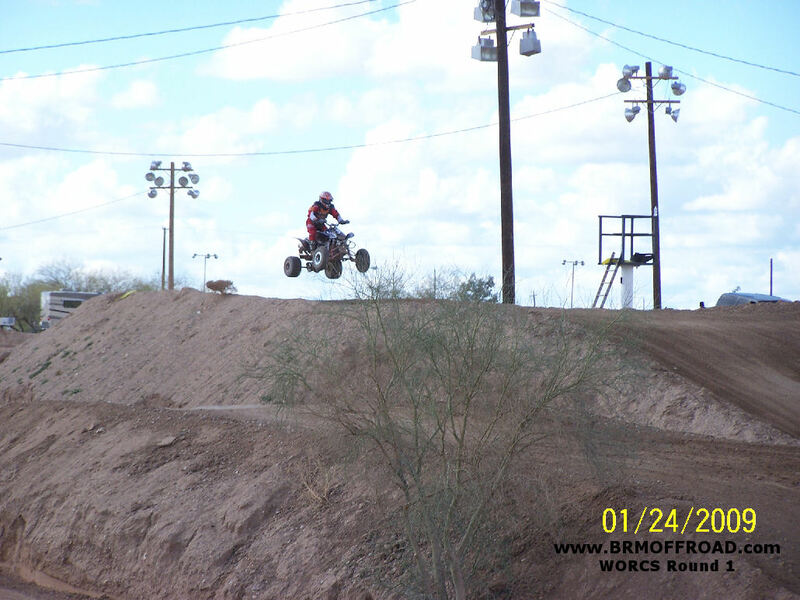 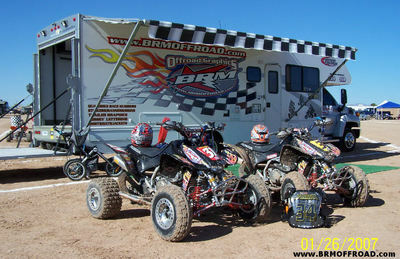 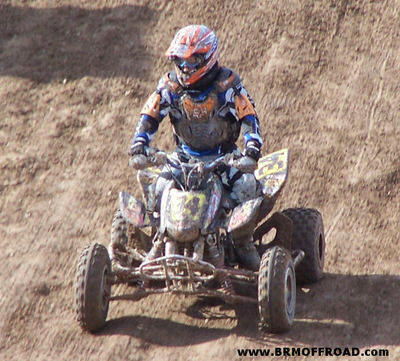 We also saw quite a few racers running BRM Offroad race numbers out there with some of them being 1st place finishers. That wasn't the case for us, but it was still pretty cool. 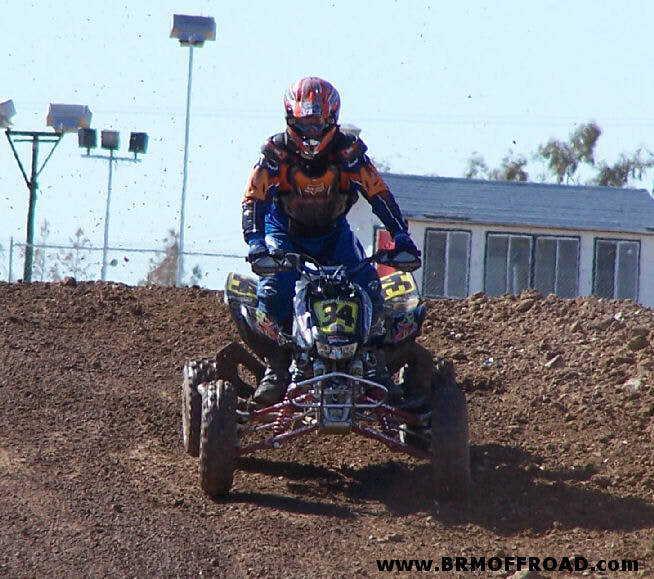 Due to an unfortunate pile-up while practicing for round 1 of the ITP series at Glen Helen in late January, we were forced to miss round 2 of the WORCS series in Taft. Unfortunately we're still waiting on parts for an '06 450R. This season is a bummer, but we'll be picking up races where we can.... once we get everything. 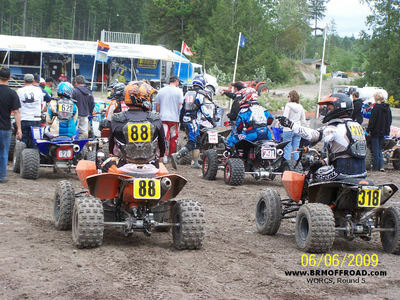 We're currently waiting for the last part to arrive, hoping to make this race. 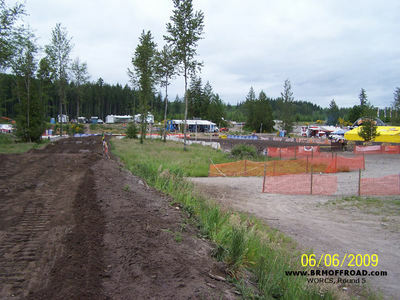 Good luck to all the racers that head to Payette, have a great time! 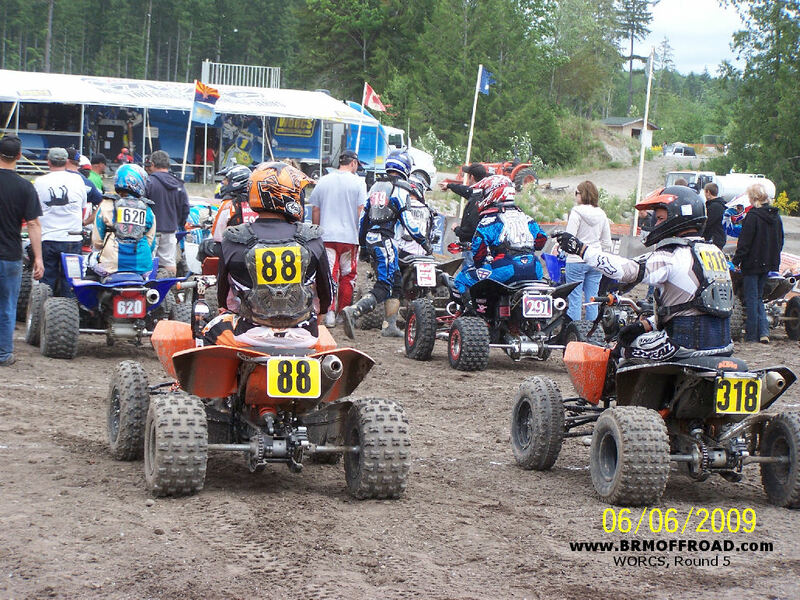 We finally made another race! 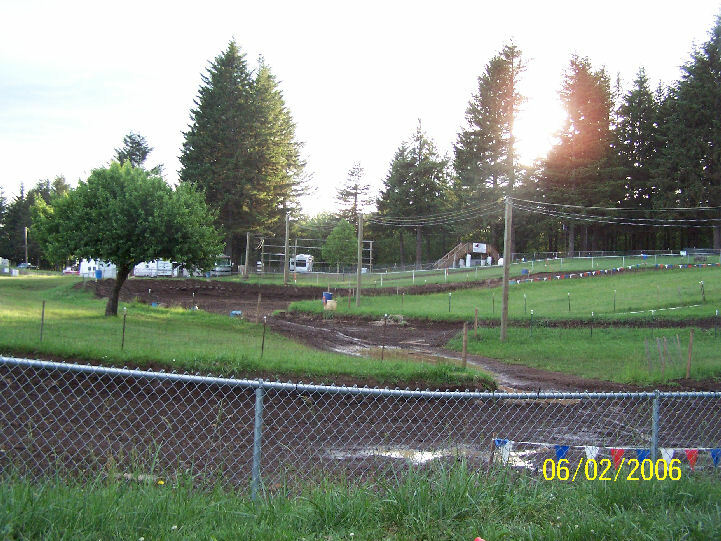 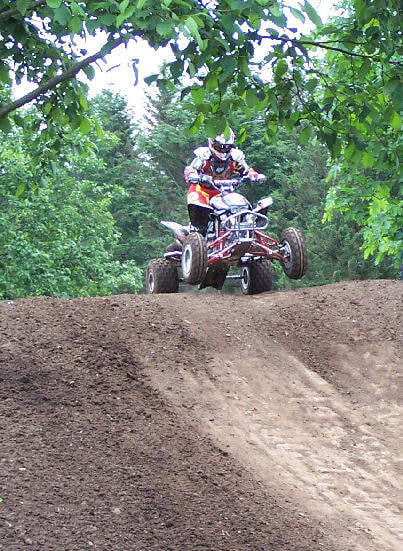 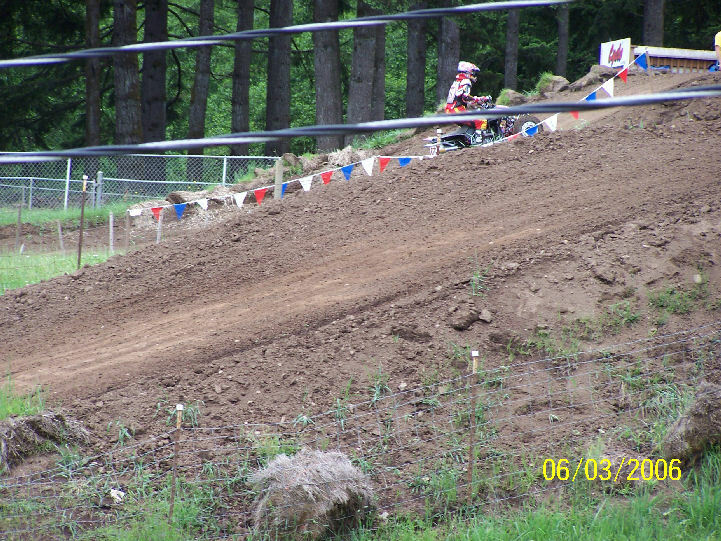 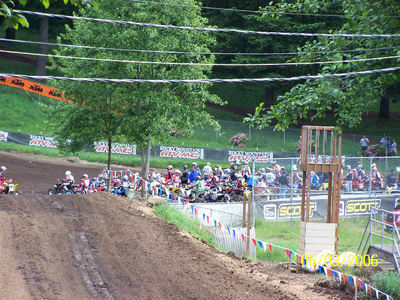 Washougal was awesome. Ok, the track was a little sloppy due to recent rains that hit the area, but it was sooo cool riding there. Growing up in the Seattle area, we could only dream of someday riding at Washougal... and boy, did the woods section of the course bring back memories of riding in the Northwest. 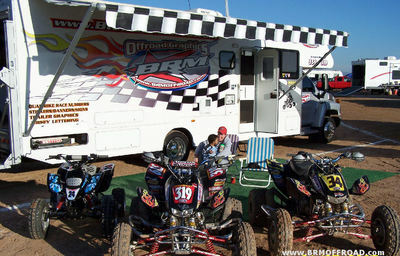 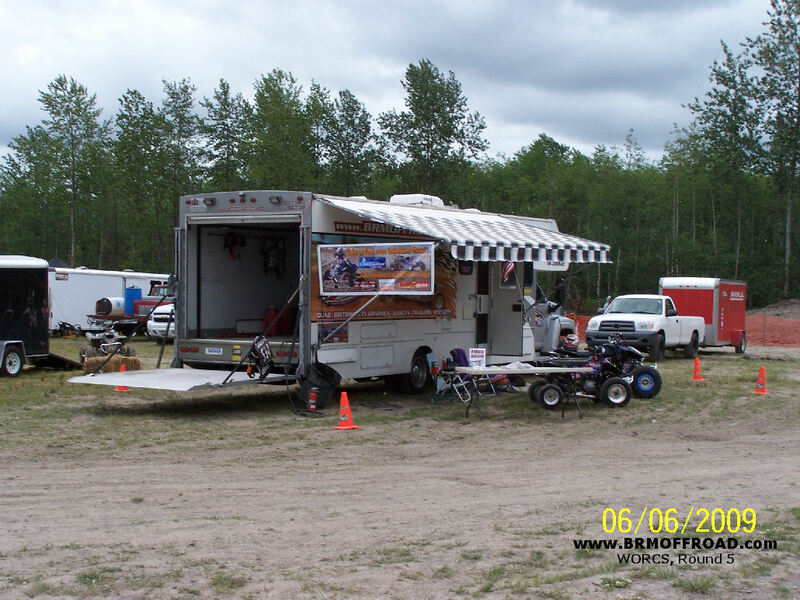 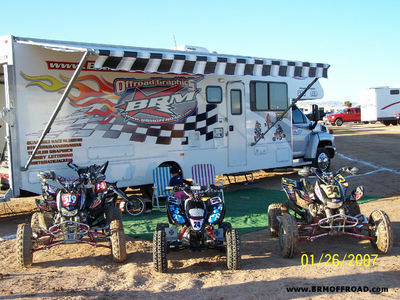 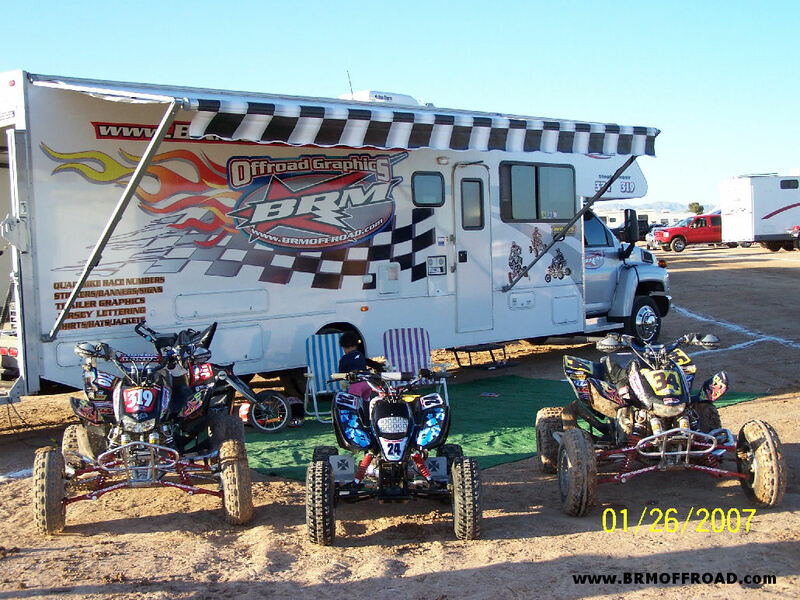 We had a great time and had a great group of racers camped next to us for the weekend. 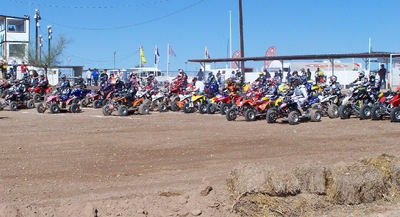 It was a blast and we're already looking forward to making the trip back there next year. Jeff did pretty good in the Production B class and he had a lot of fun. 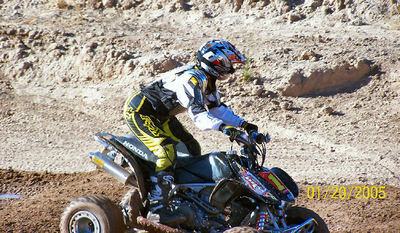 Missy brought home 2nd place in the Womens A class... that's not saying much, it was just her and Lynn Prosser. 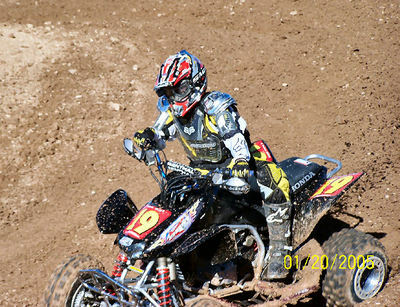 Lynn did great out there though. 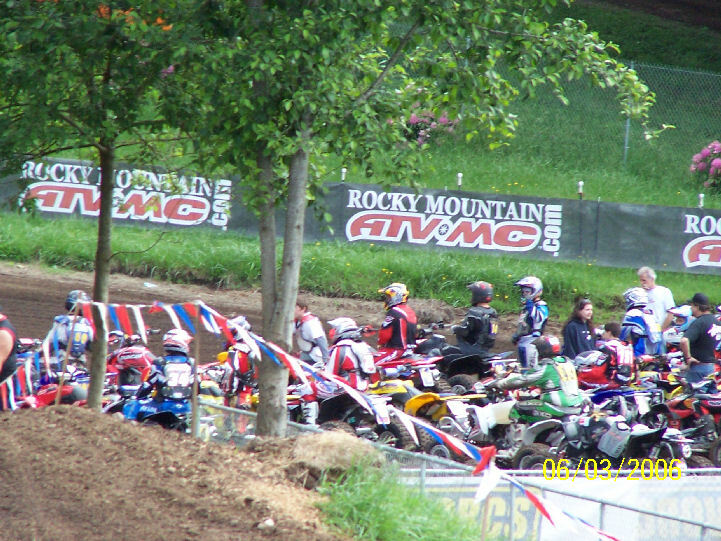 They started the Womens class on gate 6. With Lynn taking the holeshot on Missy that put her in 49th place overall... she finished 4th overall. 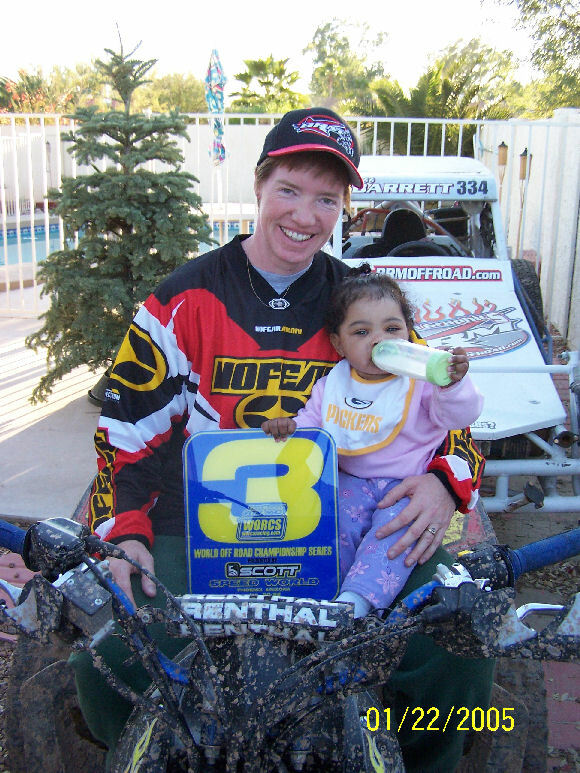 Congratulations Lynn!!! 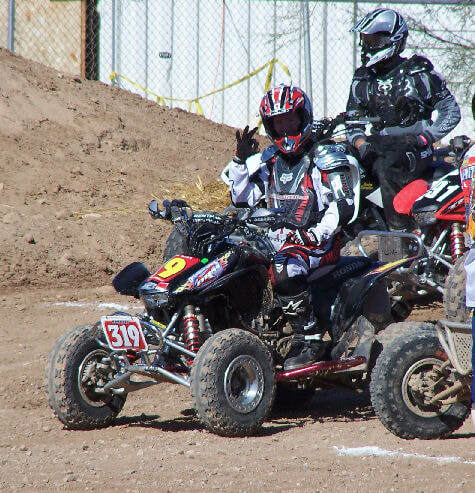 I was just kidding around when I asked how many you thought you would pick off before our race even started. LOL!! !